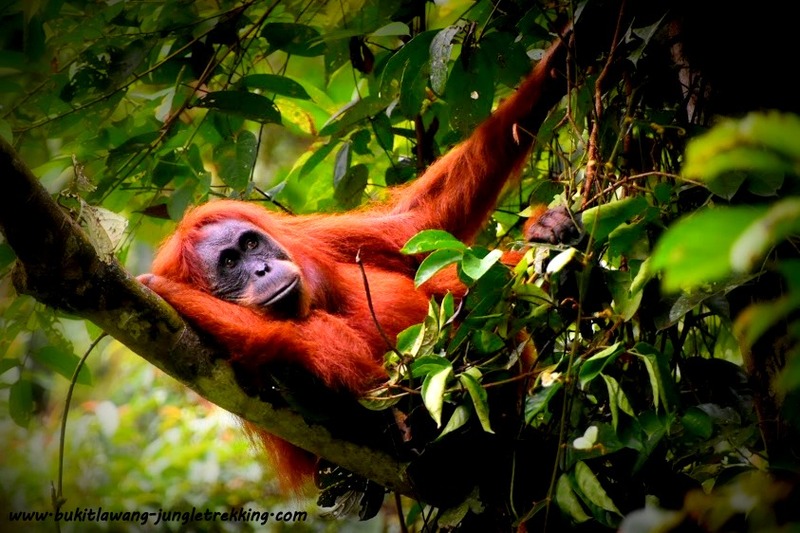 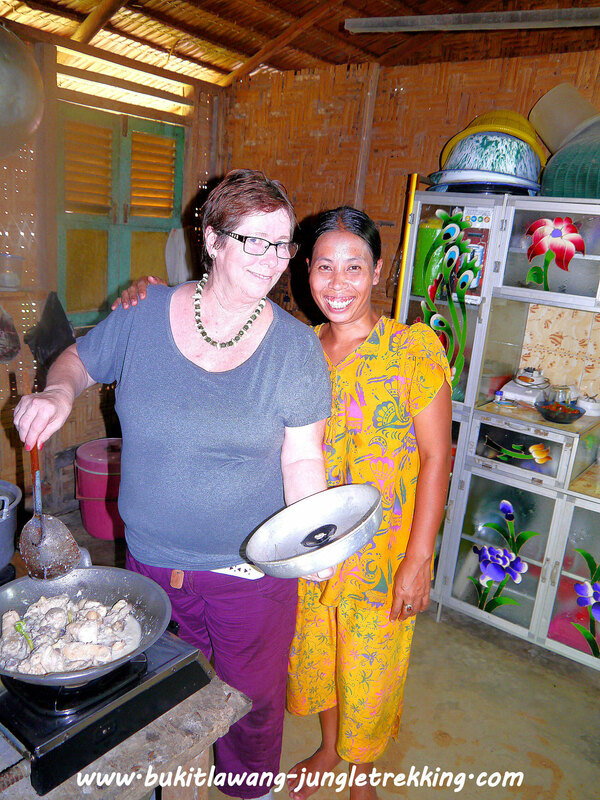 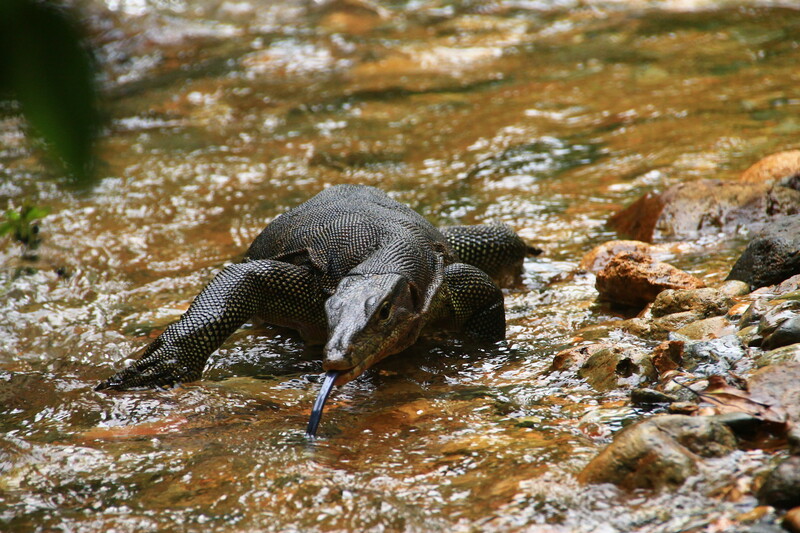 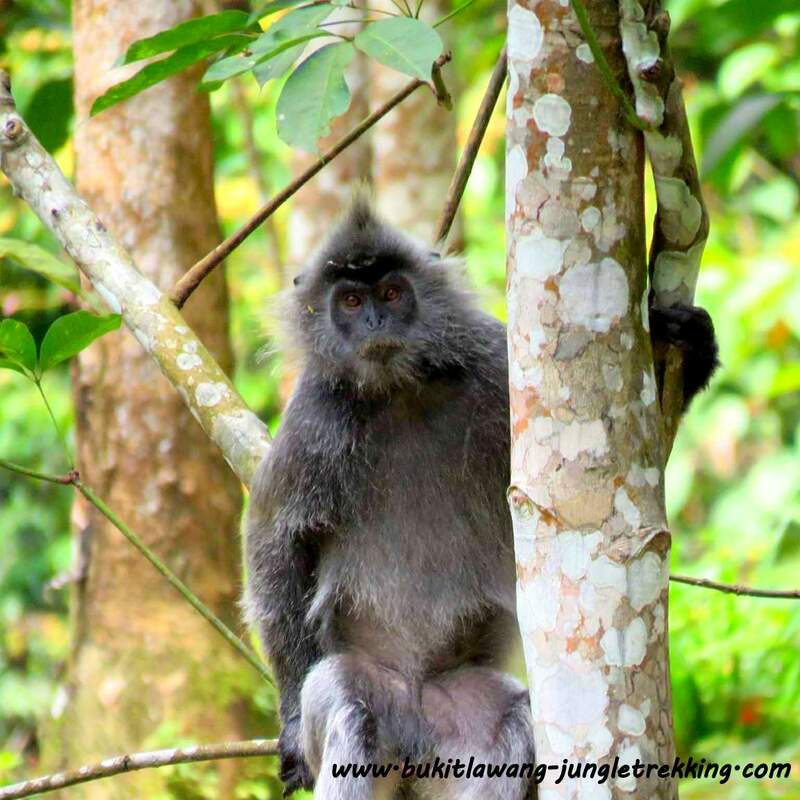 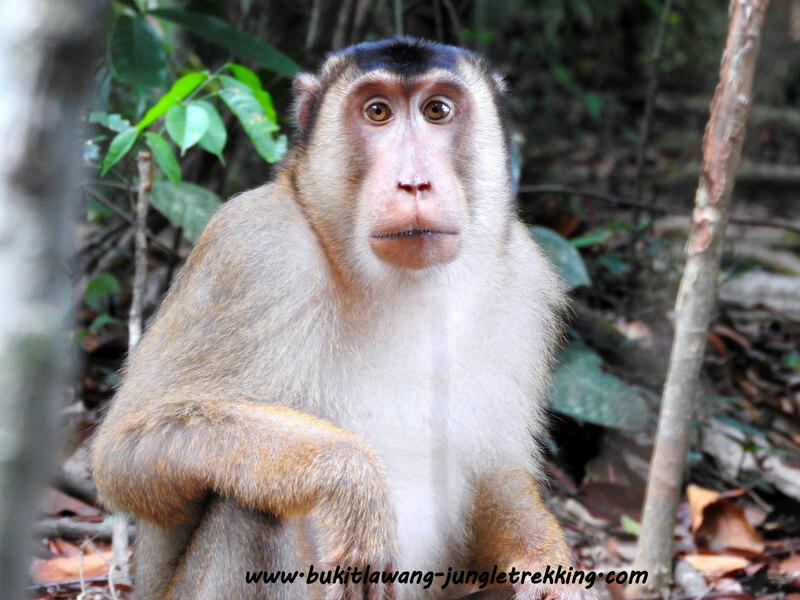 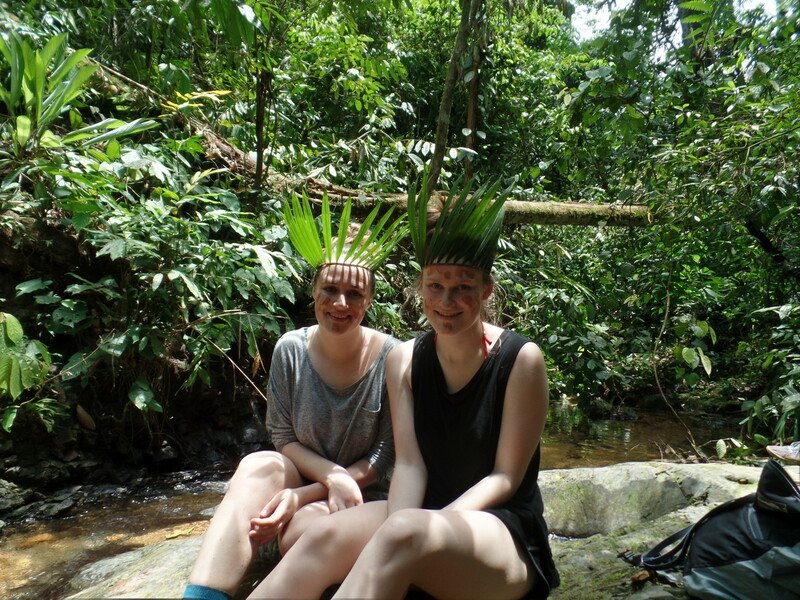 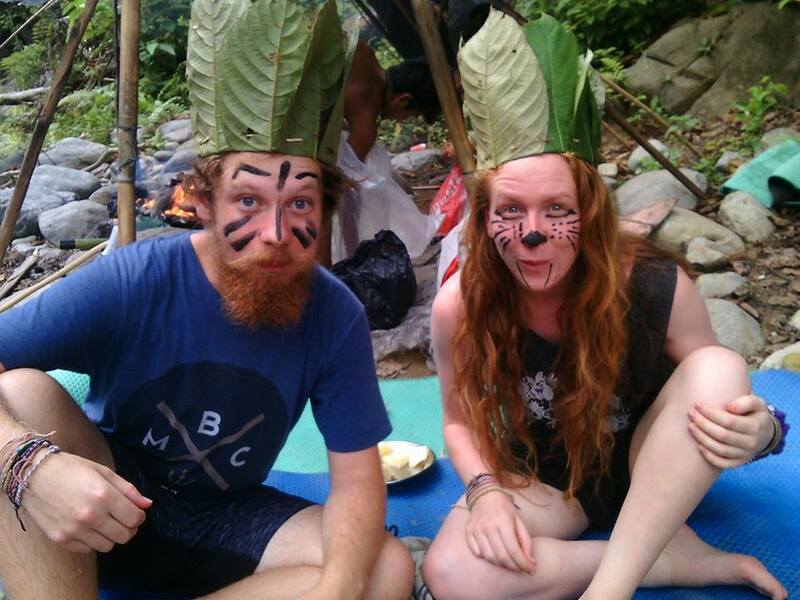 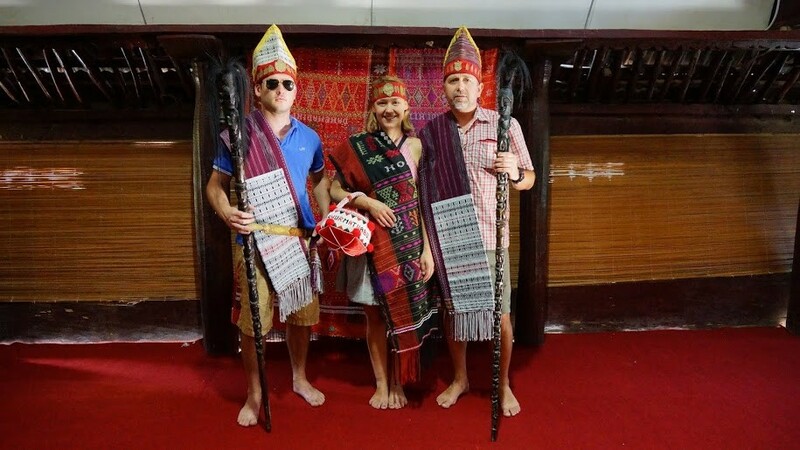 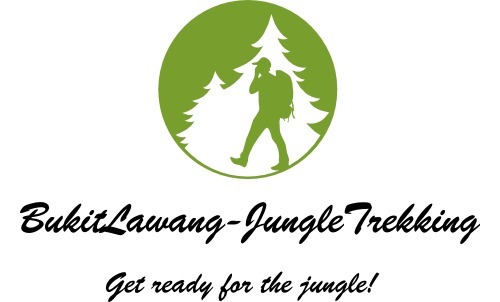 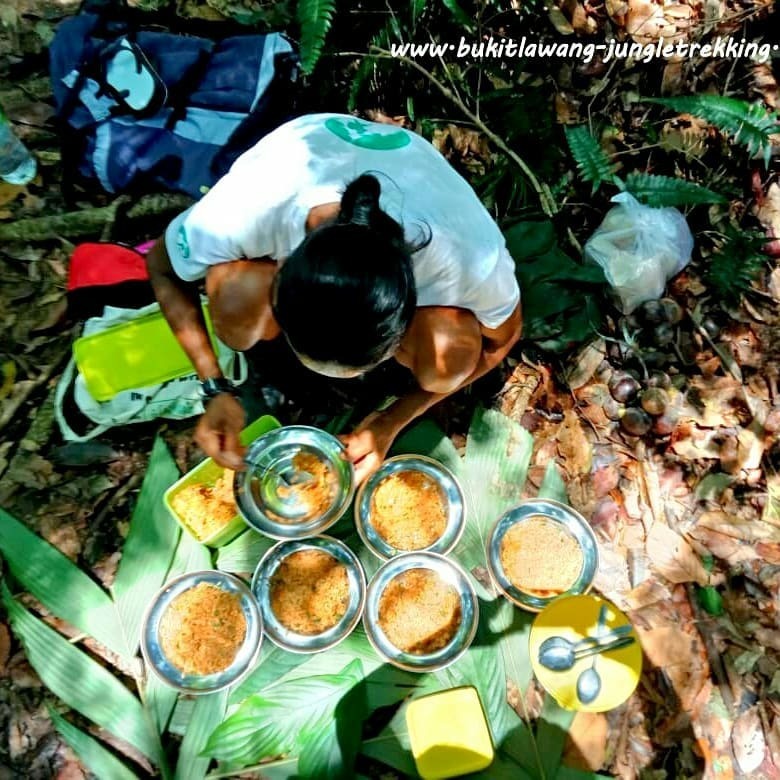 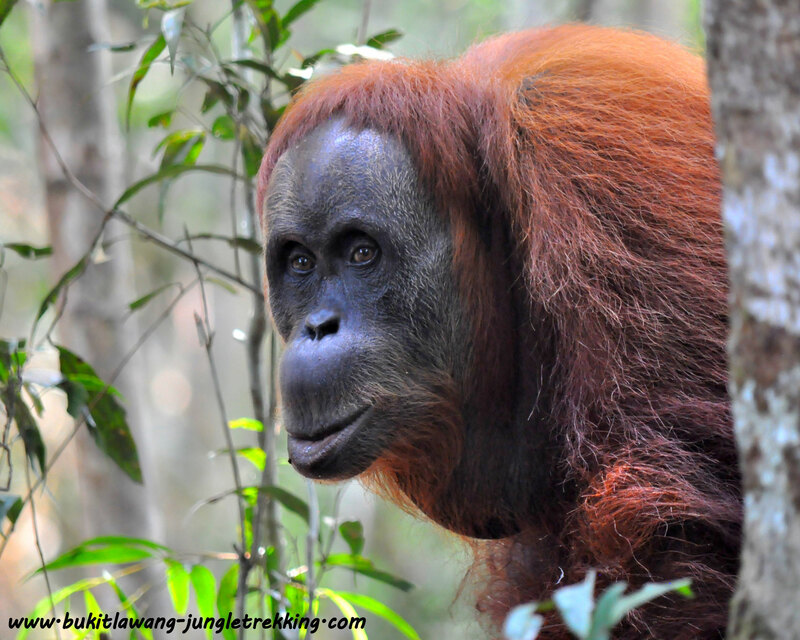 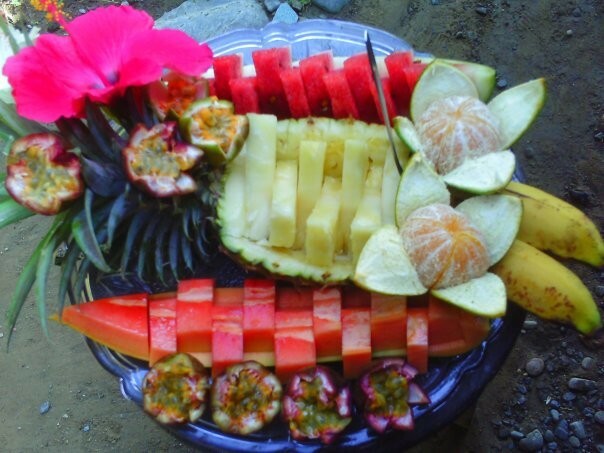 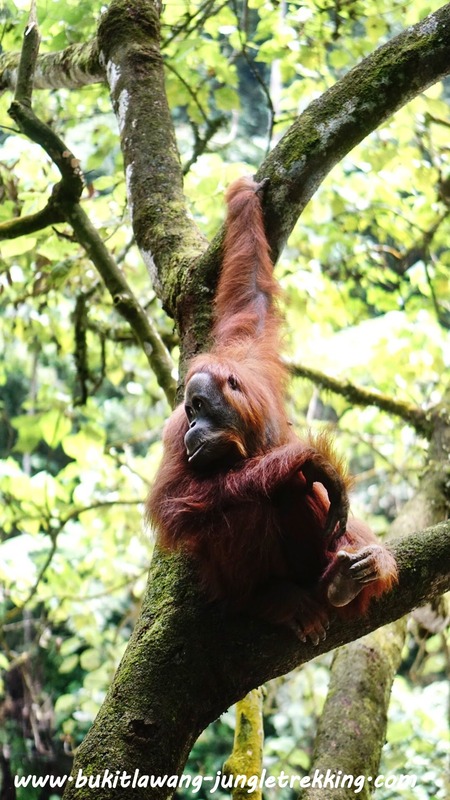 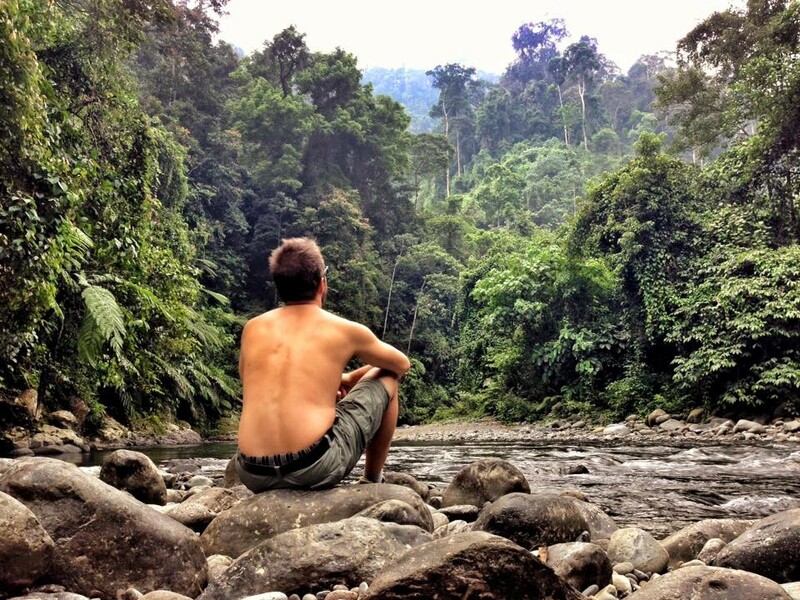 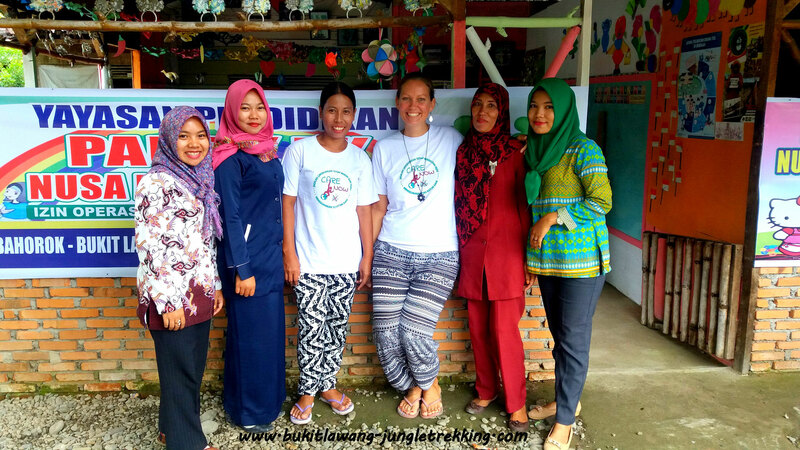 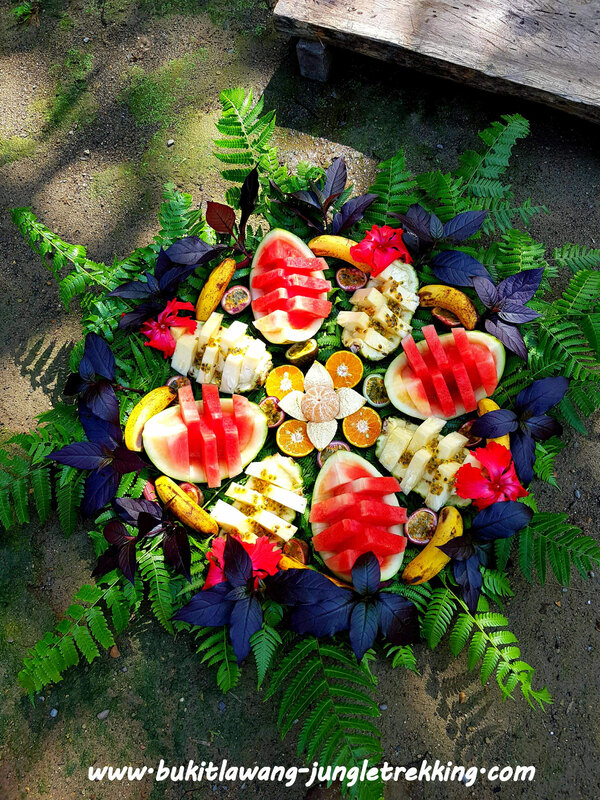 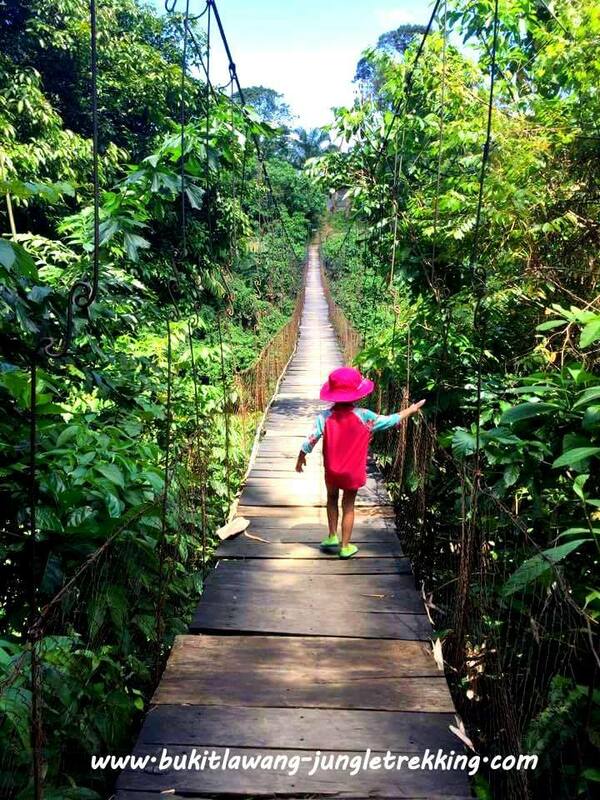 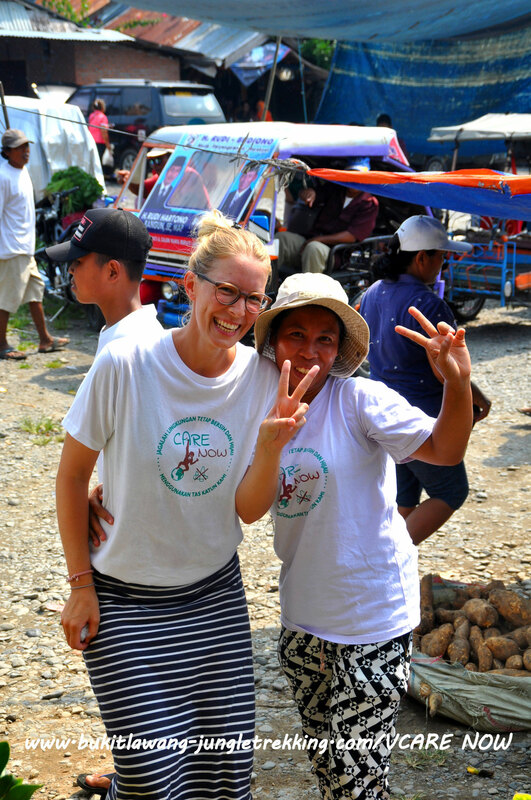 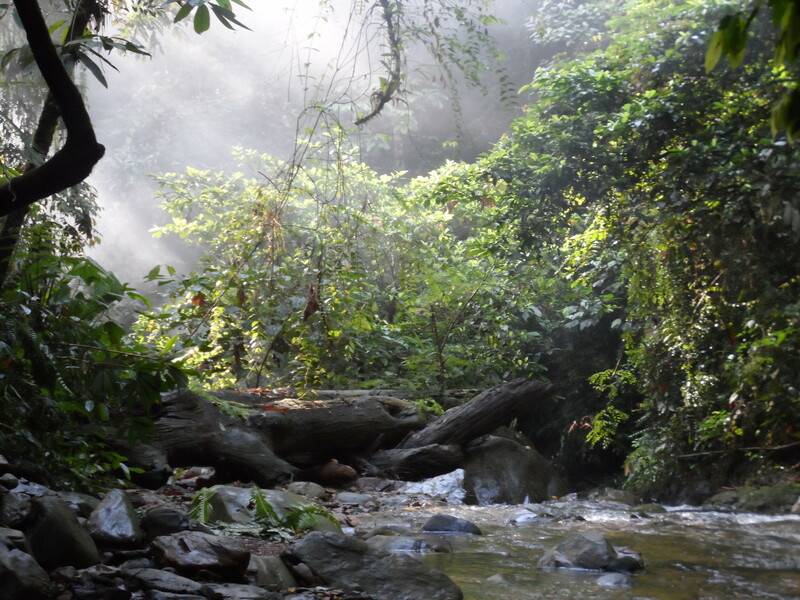 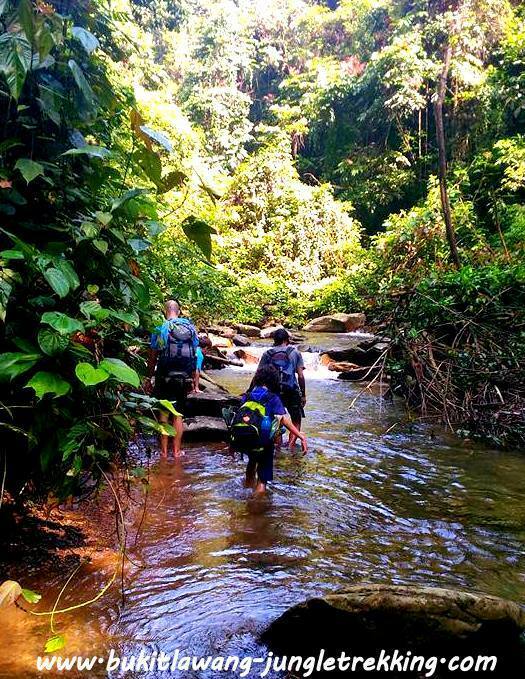 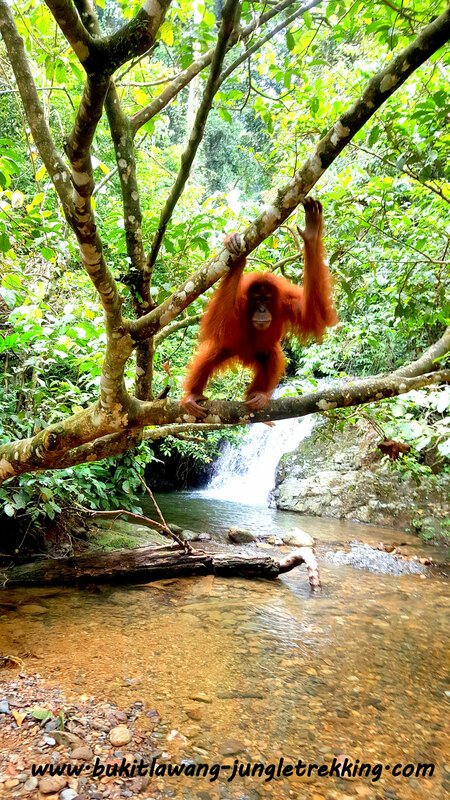 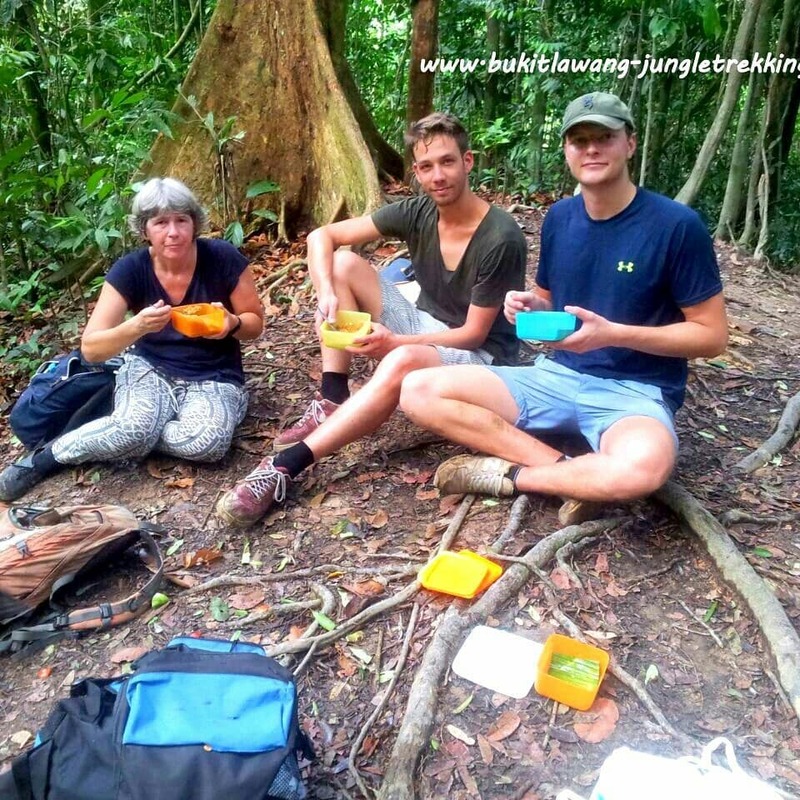 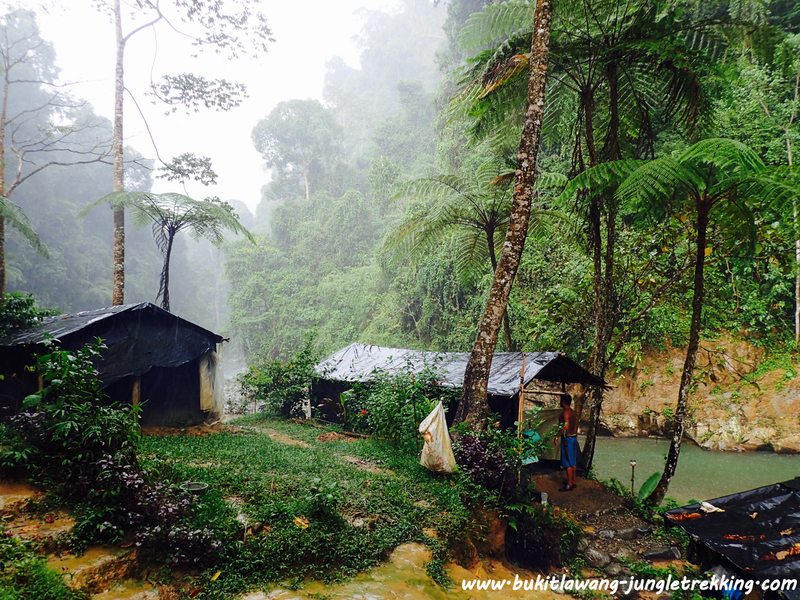 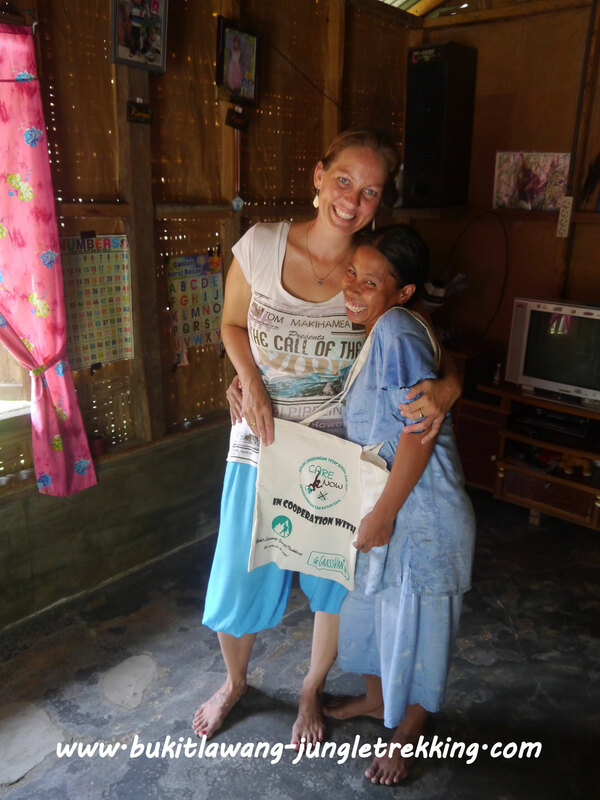 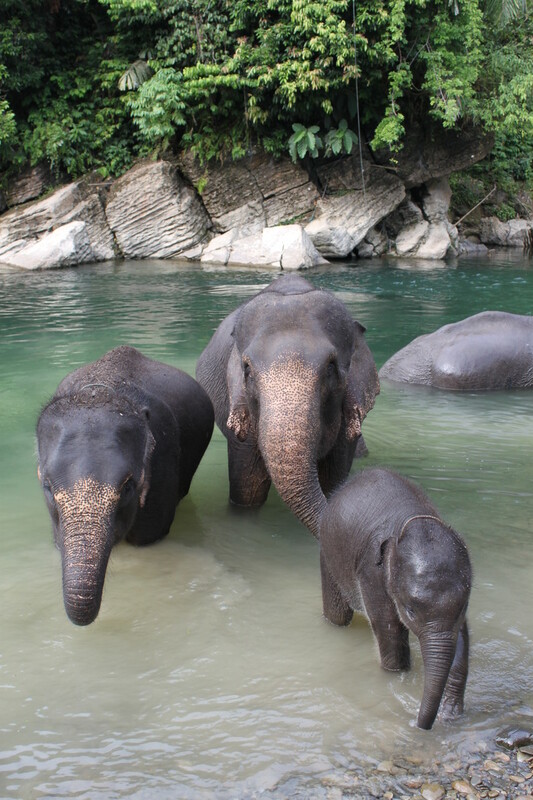 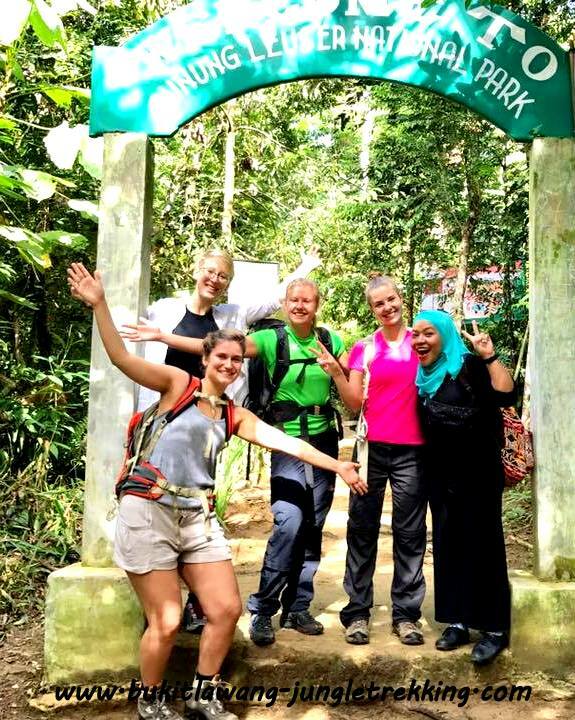 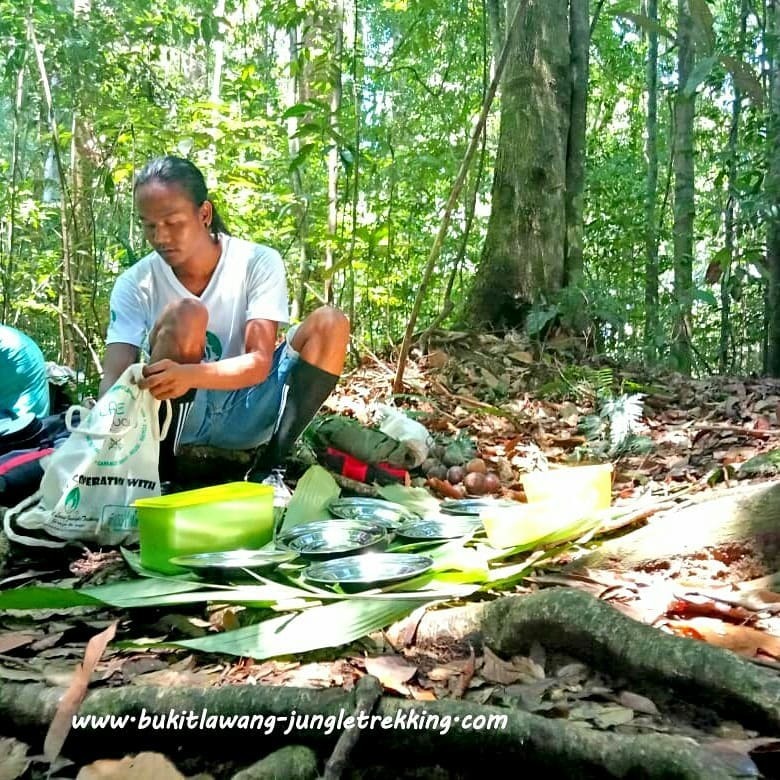 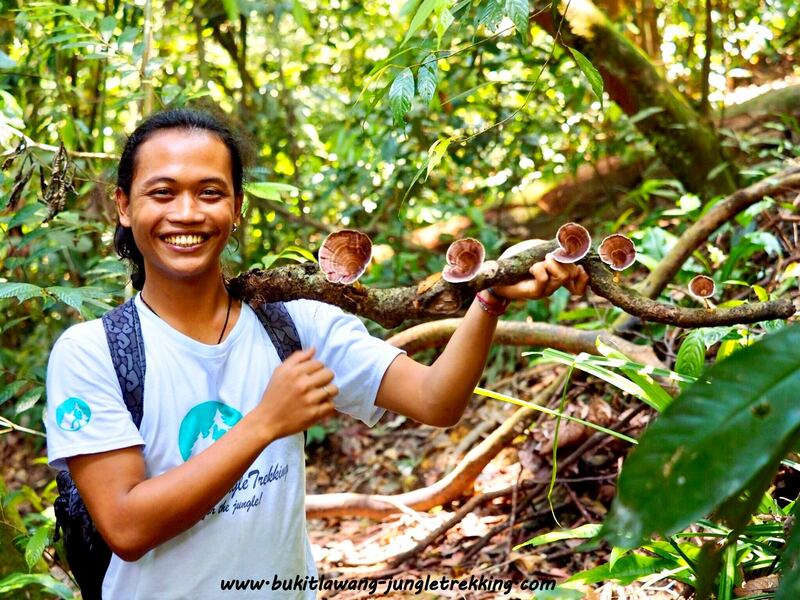 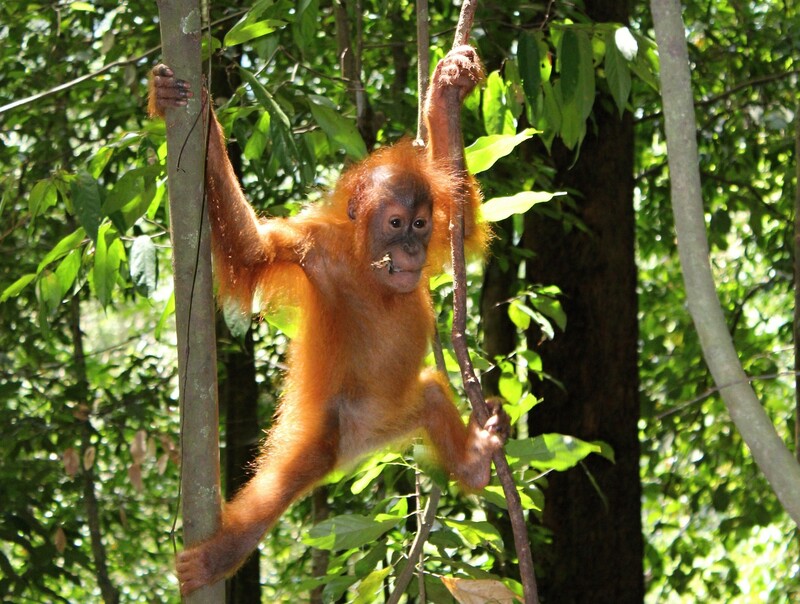 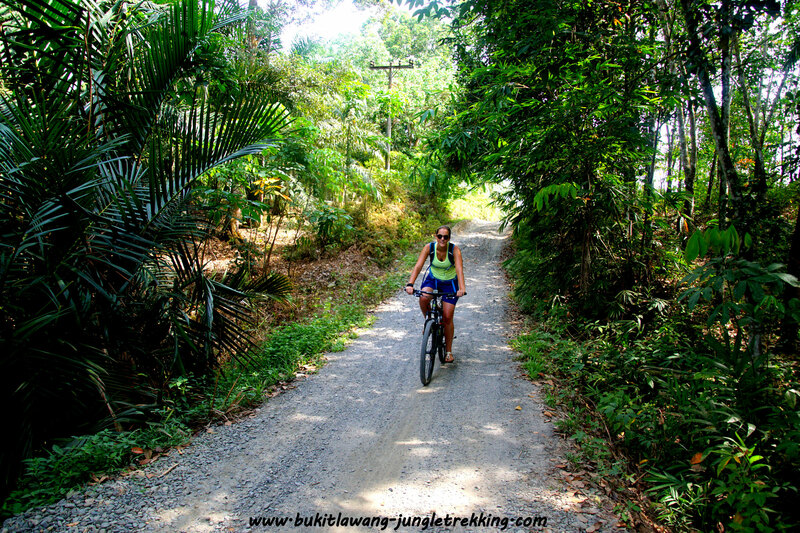 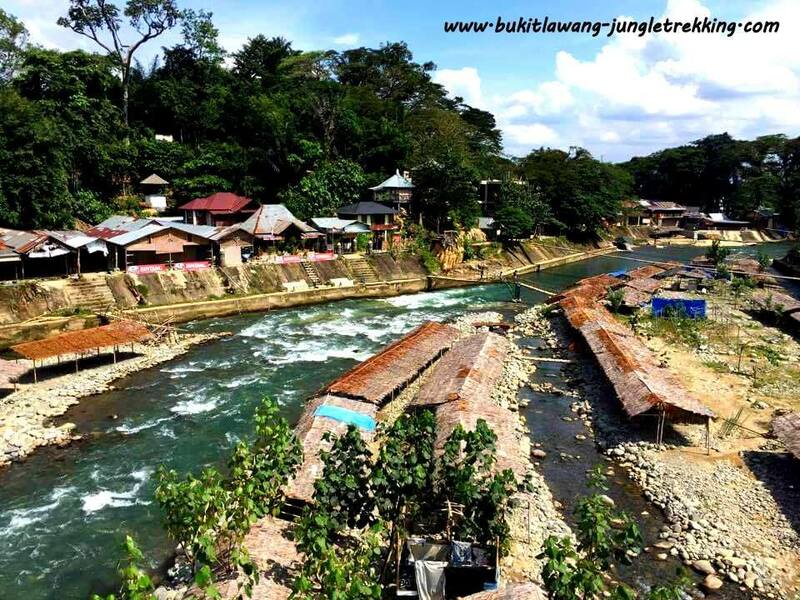 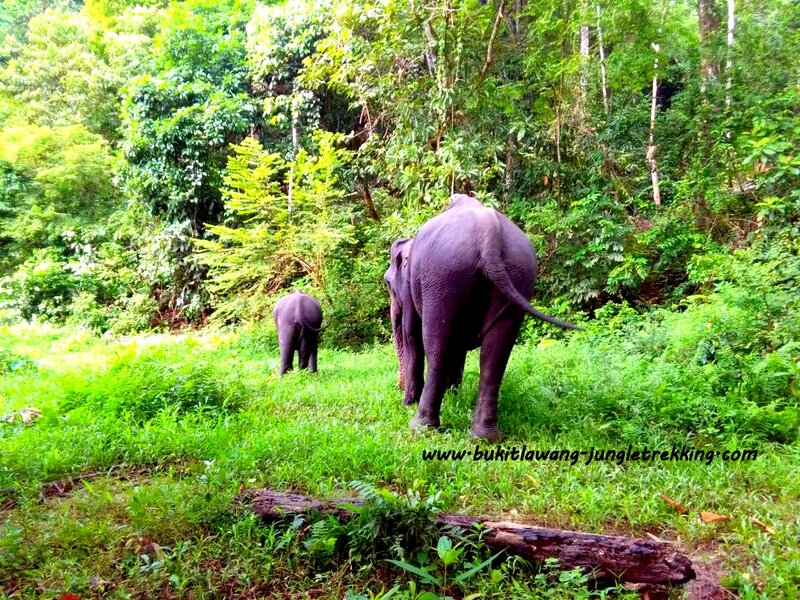 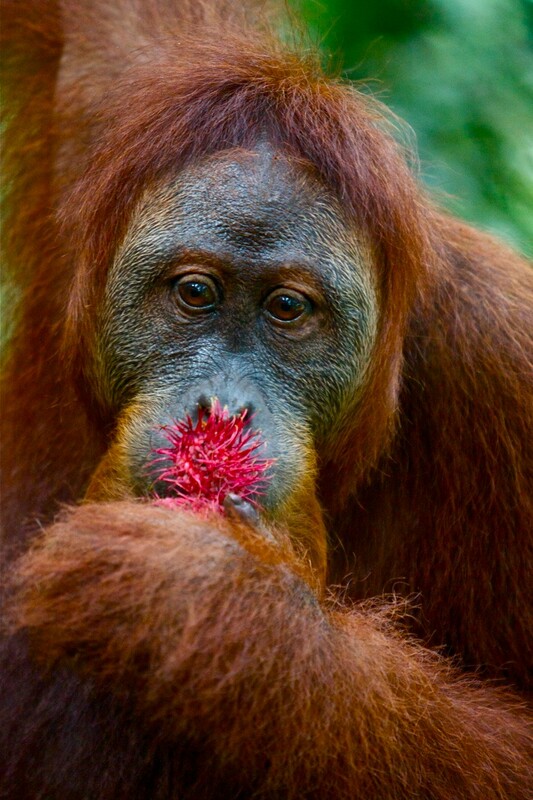 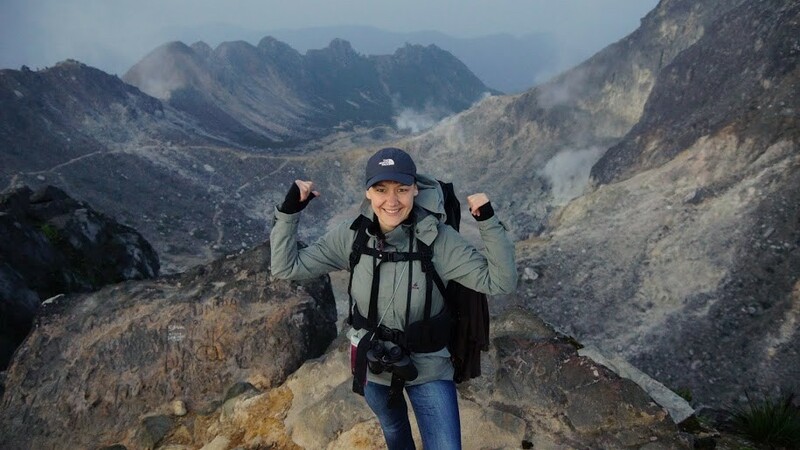 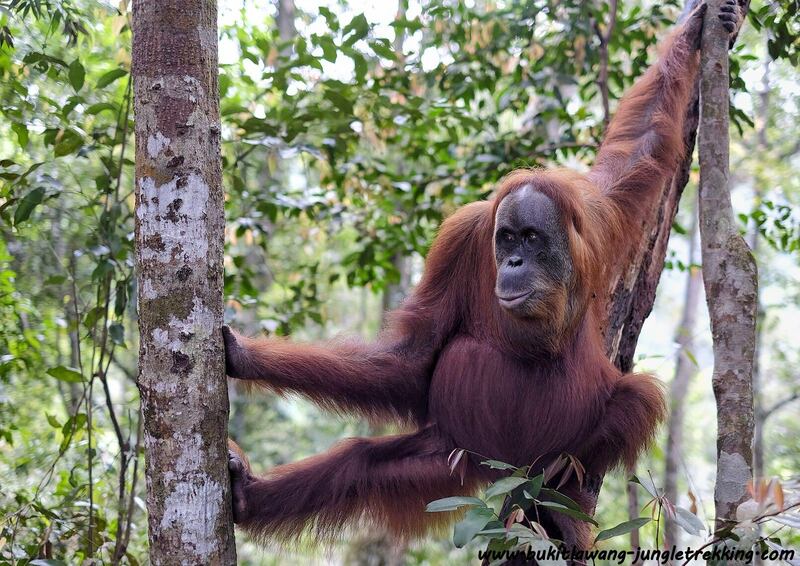 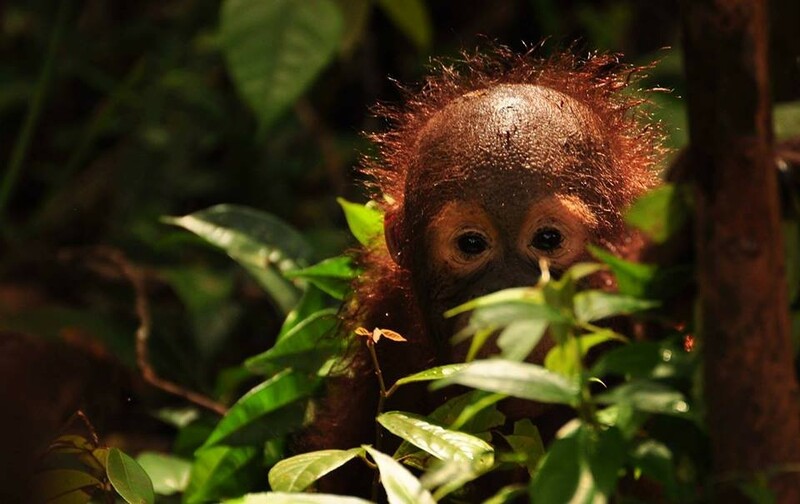 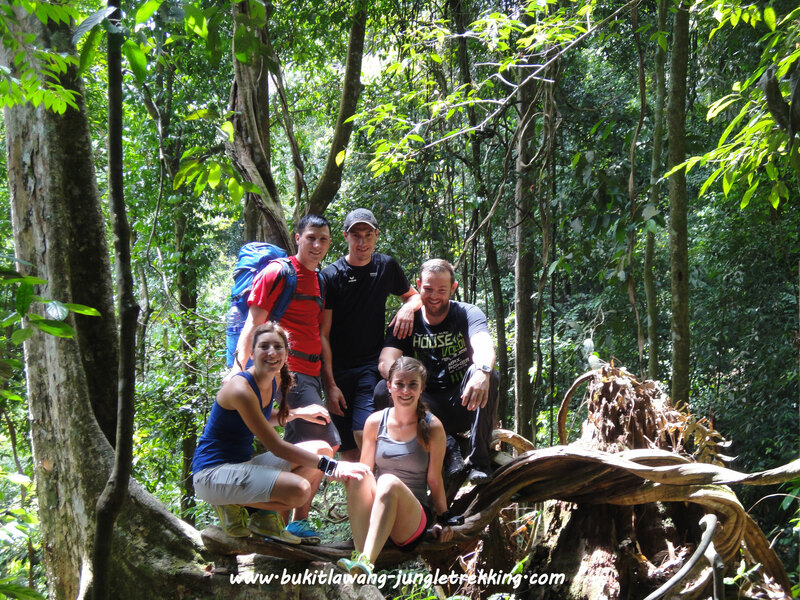 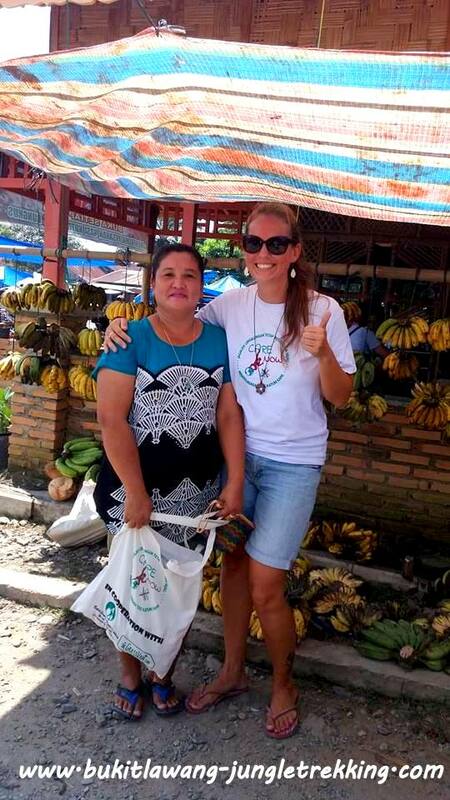 Care Now Project ( Blog Story ) - Jungle Trekking Tours in Bukit Lawang,Sumatra! 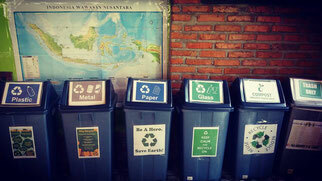 Everybody knows that waste is a very big problem all over Asia,so it is in Indonesia.Exerts talking about a real waste management crisis.And its getting more worse and worse with growing tourism,economics and cities.Indonesia has no waste managment systems,no garbage collections as we know that from western countries,no waste seperation and you can hardly find waste bins. 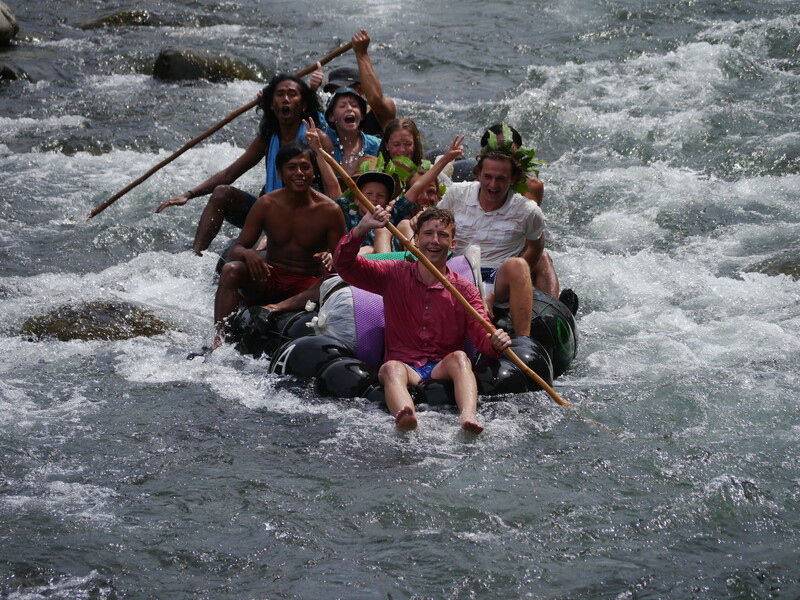 The local peole just throw all their trash into the nature or rivers or they burn their garbage. 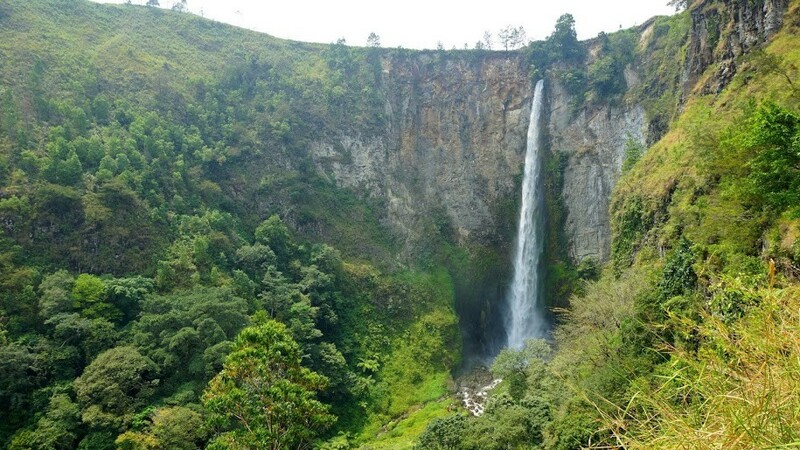 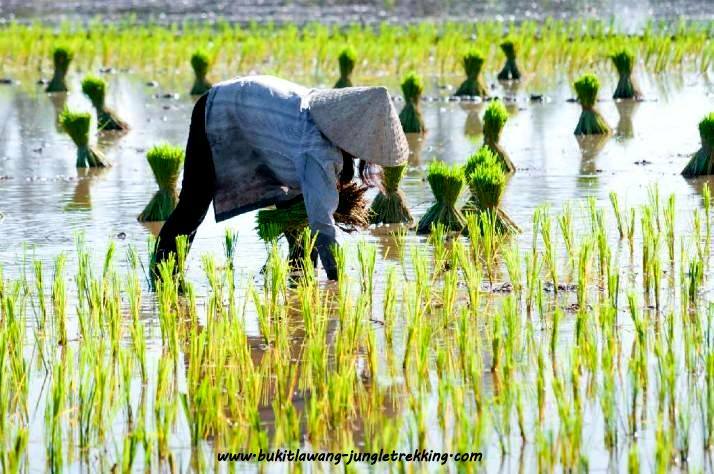 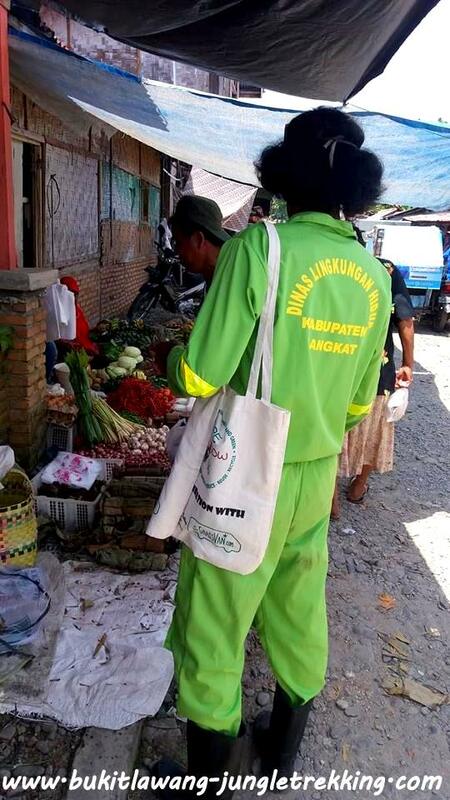 One of the main reasons is that the local peole do not have the awareness to taking care of their environment,the awareness for a clean and green,a waste-free and plastic-free environment. 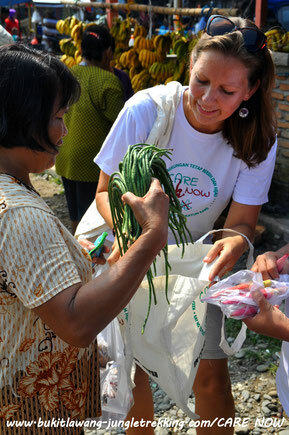 And this is the where our project work starts with the CARE NOW project. 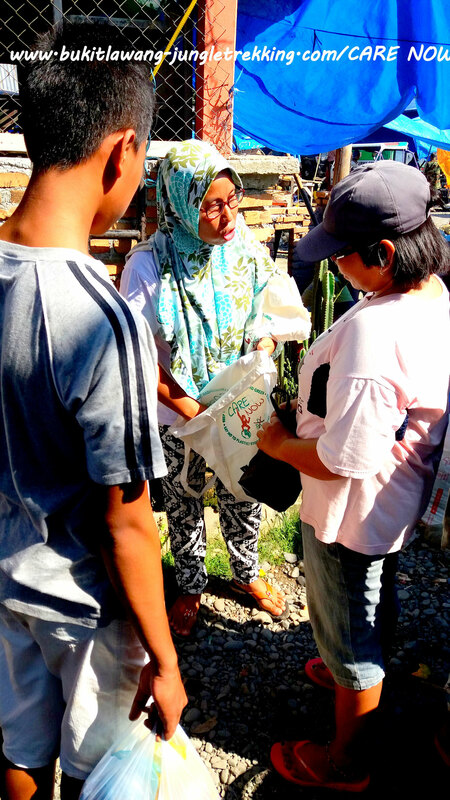 We can not change everything in a quick time but what we mostly want is to encourage the local community here to taking more awareness of indonesias waste problem. 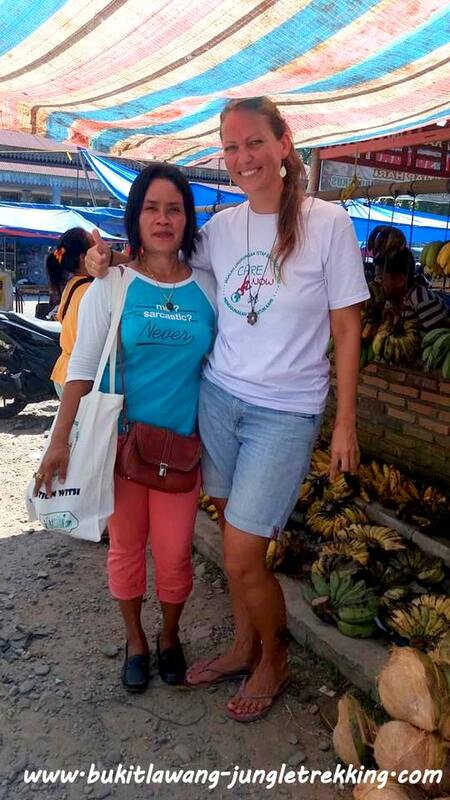 This project is very close to my heart and we started it with our fully conviction.I am a german emigrant and you maybe can imagine how difficult it is to see and understand all the rubbish everywhere and to see peole throwing rubbish in the rivers and burning their rubbish (even organic waste and toxic waste!) 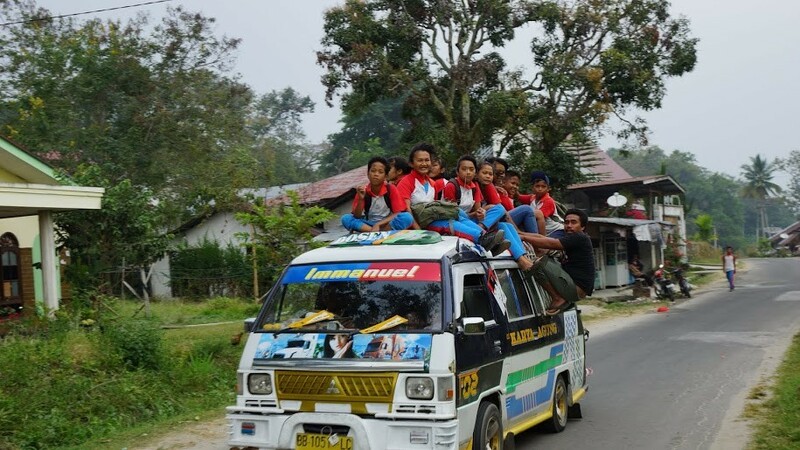 ,and to try to understand the local attitude. 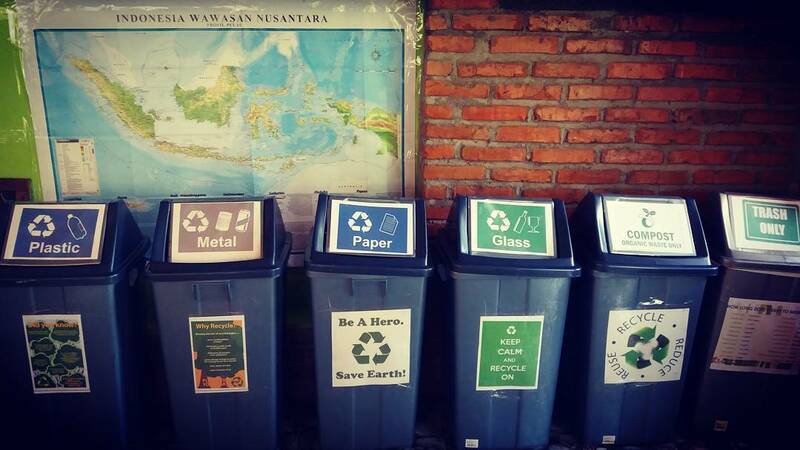 We as westerns do know about the impacts of this problem like air polution,global warming,climate change,health effects,all the plastic ends up in the oceans,etc.But the locals don`t! 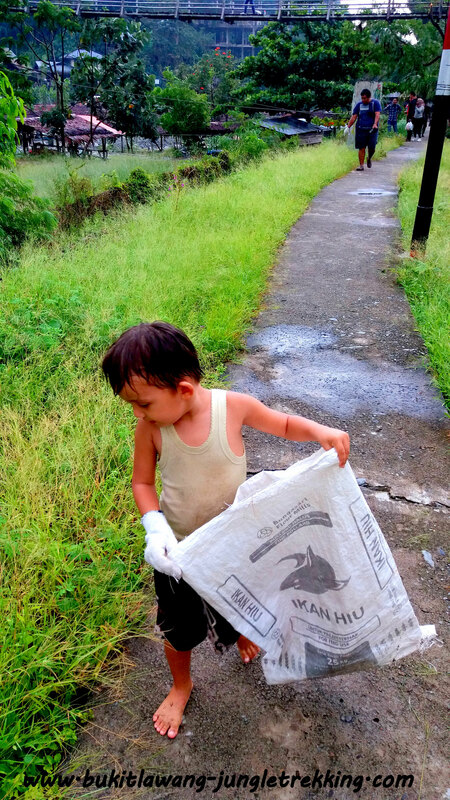 They dont get any education and if some of them do, they find it difficult to change something as there is no support from the government like a good-working waste management. 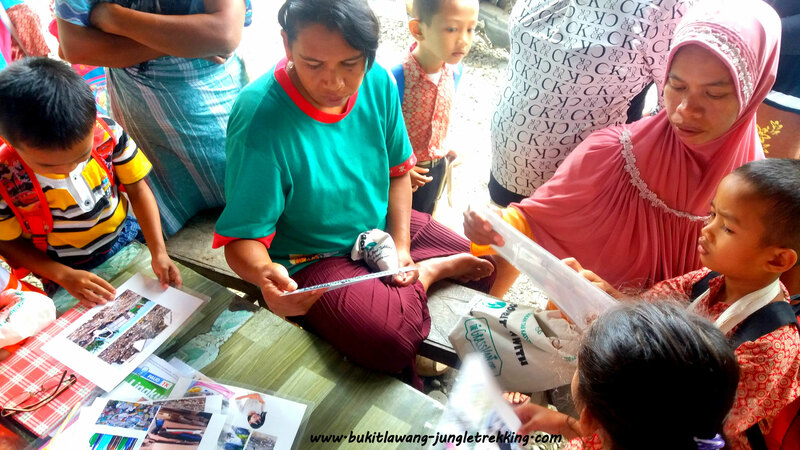 What we dont want is disabuse the community as they wont follow our project ( indonesian people wont listen to a western if they dont behave polite and just tell them you are doing wrong,you should do that! 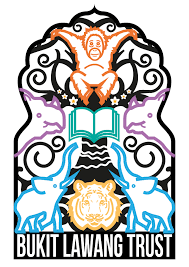 ).We are trying to organise small workshops and meetings to discus these topics in a comfortable way for both sides. 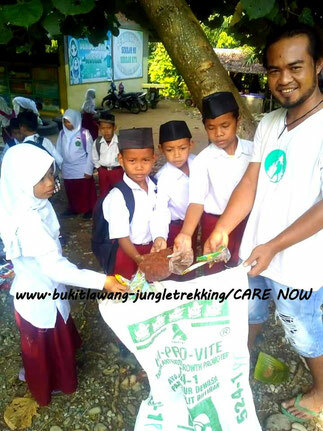 It is about topics like conservation,protection of animals and nature,but the focus will be the education,training and support of local communities about waste,waste management,plastic recycling and waste reduction,waste seperation,waste burning and its impact to the environment ( global warming and climate changing,air polution) same like health effects,recycling,composting (locals even burn their organic waste),waste recovery and wate reduse. We want a clean and green environment and a trash and plastic free nature ( plastic get thrown in the rivers where fishes or chickens can eat small plastic particles which ends up in human stomaches if they eat those animals,all the plastic trash ends up in our big ozeans where it harms the ecosystem of animals and plants). 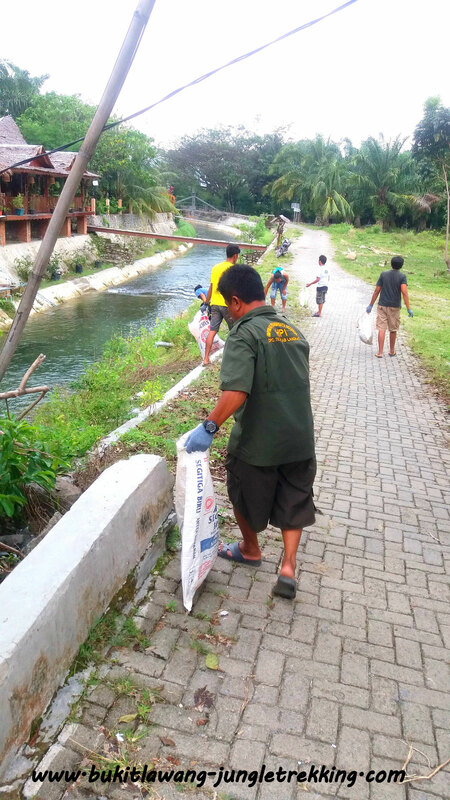 Another imortant fact is how to handle toxic trash?For the moment all toxic trash like battieries,old medicines,etc, get threatens like normal trash and is just thrown away into nature and rivers which is a disaster.There are no disposal route here to get rid off it. These are our project slogans! 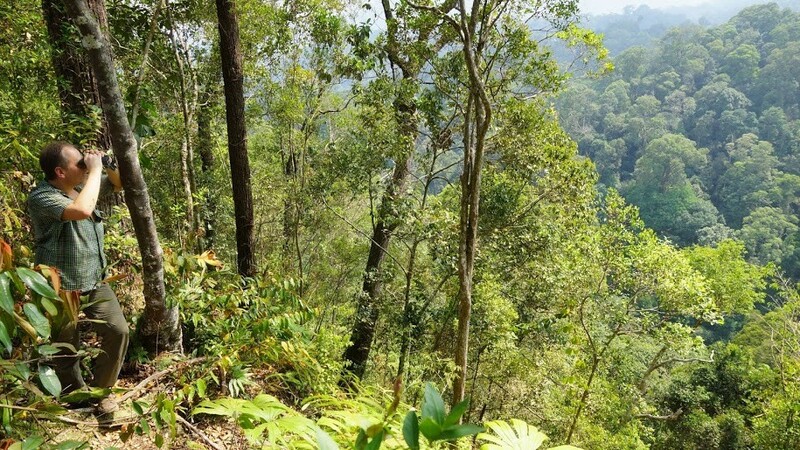 We finance this project with 5% of our profits. 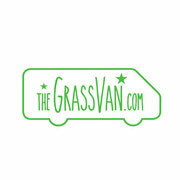 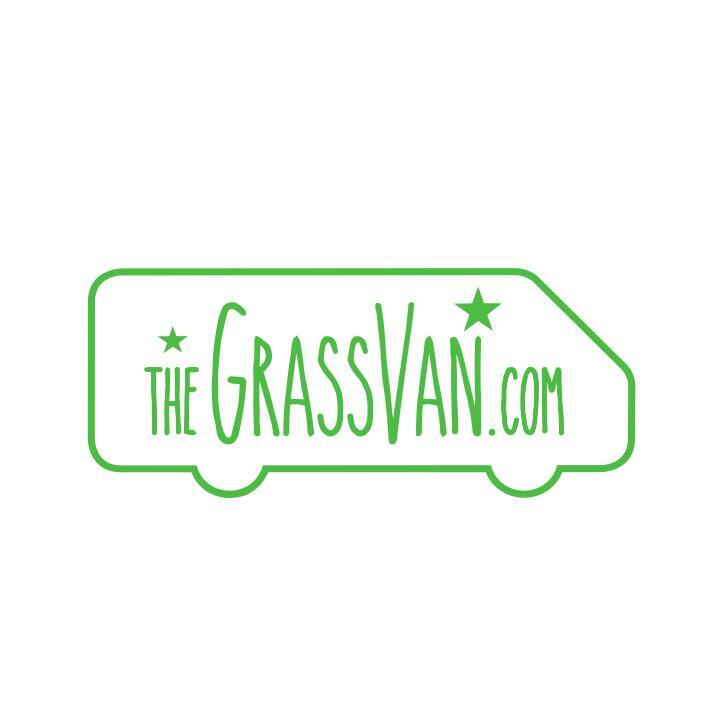 Furtherway we have some amazing friends and partner from TheGrassvan.com who created the lovely project logo for us and who lately donated some money for the project work! 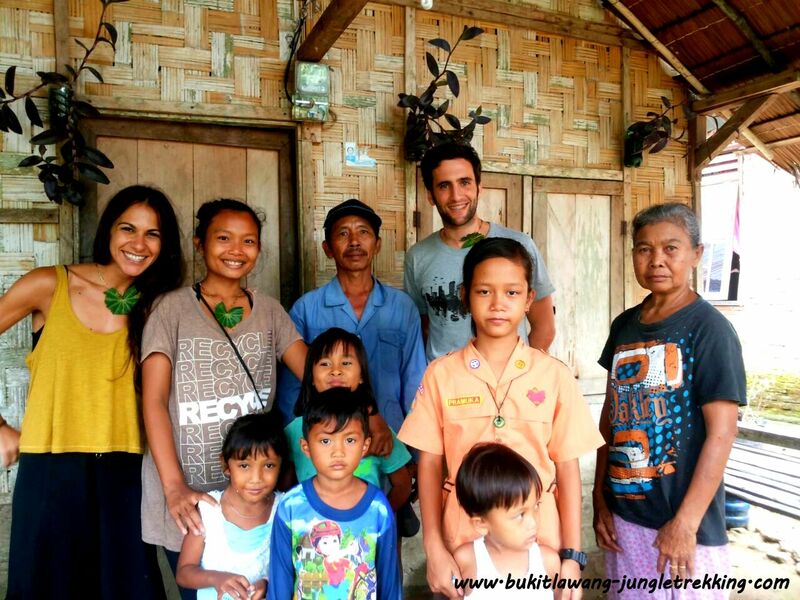 For the future we hope to find guests which are willed to help and support our project. 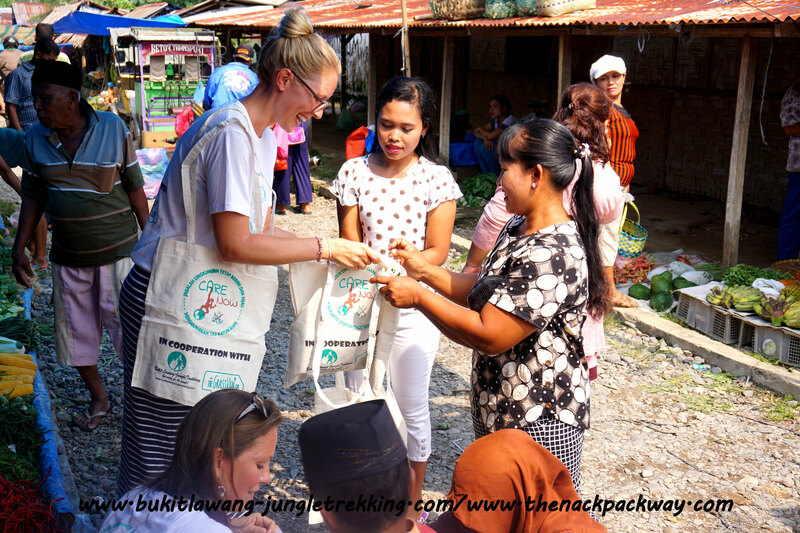 If you would like to donate something,please contact us. 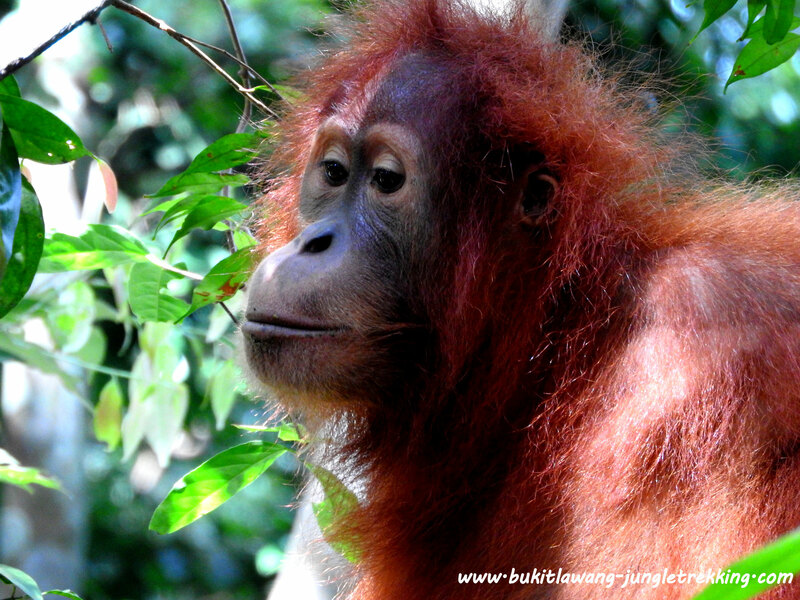 Any donations-no matter how small or large-can make a difference!Thank you! 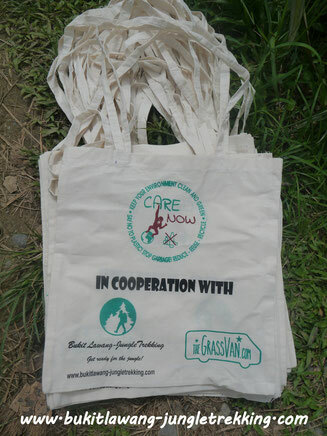 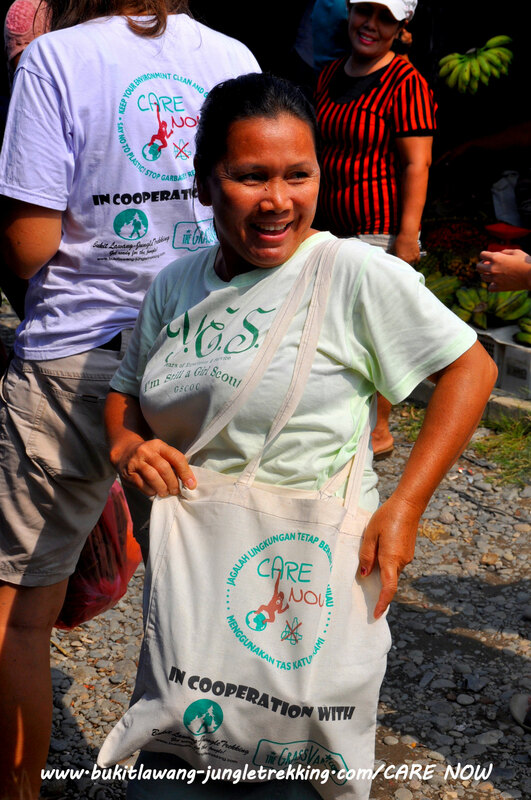 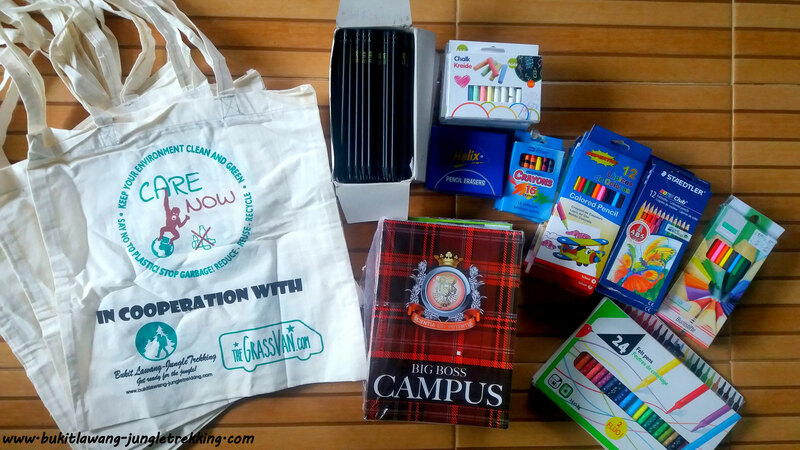 One part of the CARE NOW project are these ecofriendly totebags. 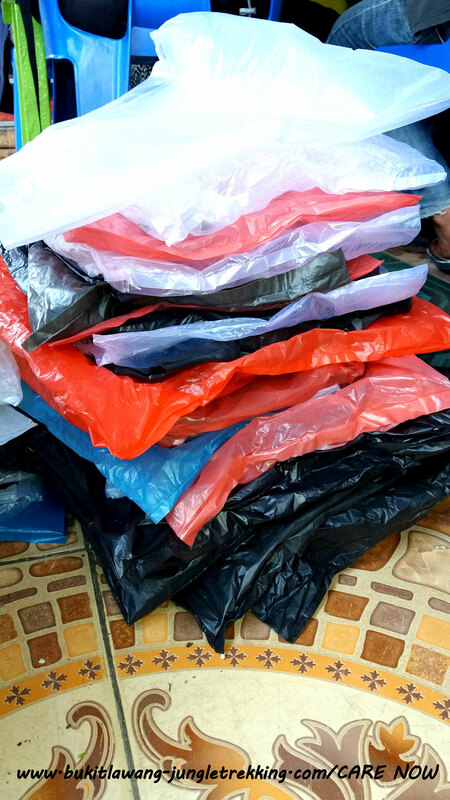 We are making them together with local people (material,tailor, printer) to hand them out to the community for free. 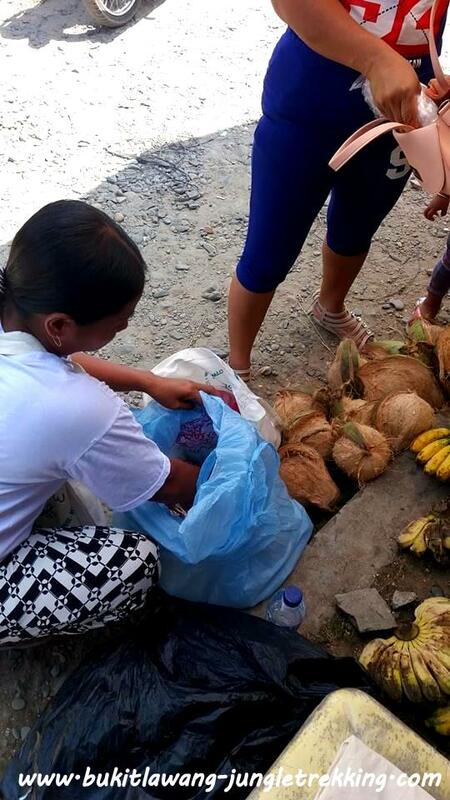 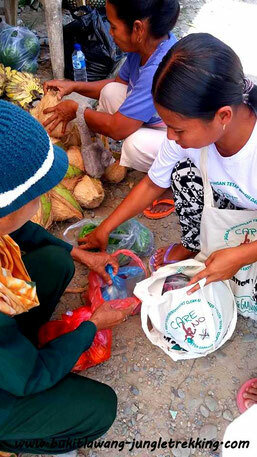 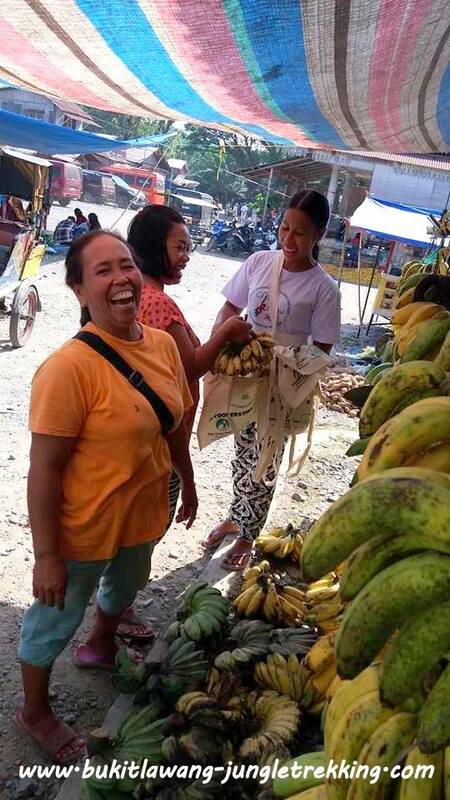 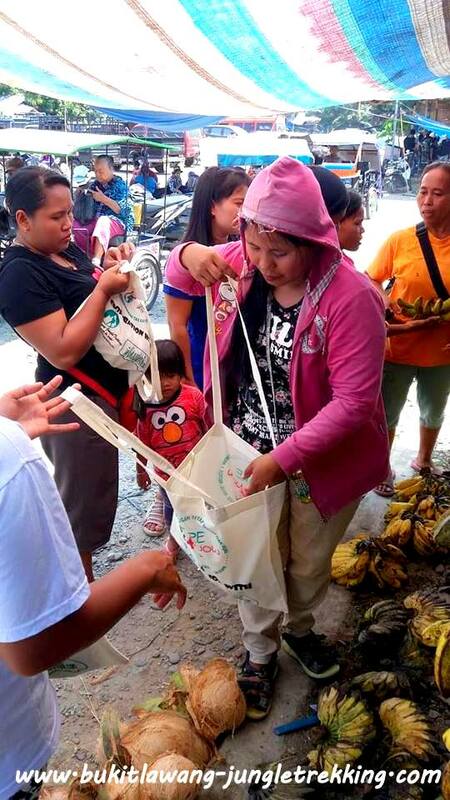 Our hope is that locals will use them as a shopping alternative to the usual plastic bags and therefore the consequene will be a reduction of plastic trash. 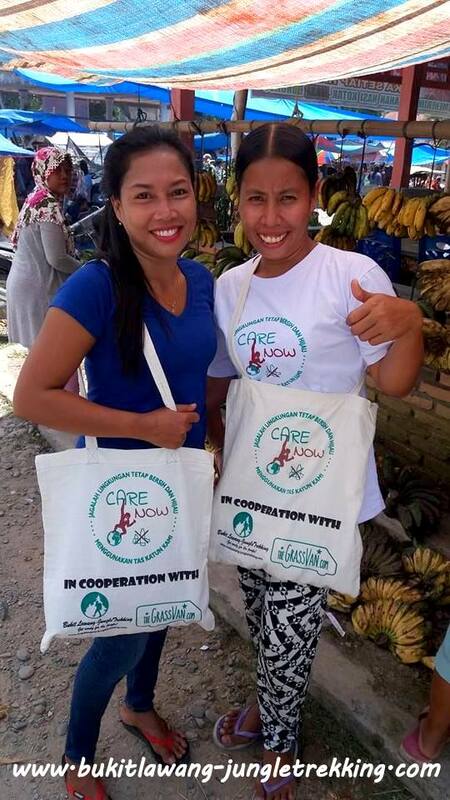 Until now we got great feedback from the community and they all were happy and keen about this campaign and it seems that they understood the aim of the CARE NOW project which makes us confident for further activities like that. 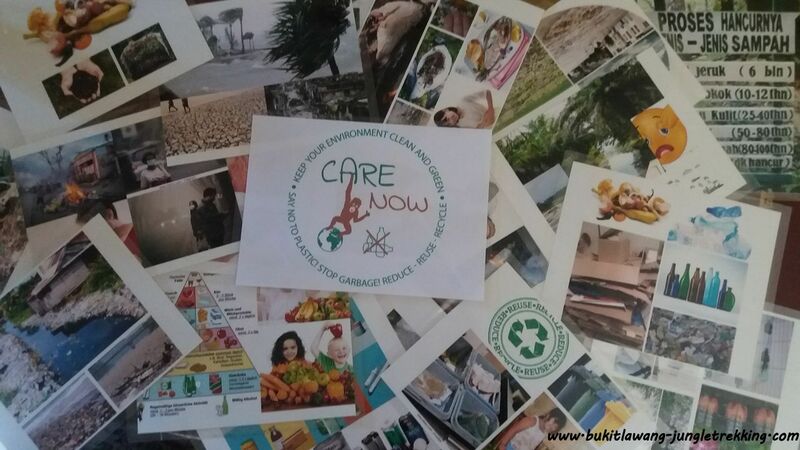 Furthermore we were able to create and print out big and colourful photo collages from the lately donated money of our friends from TheGrassVan.They will help to explain the community about all the waste problem and its effects to the environment like described above in a more demonstrative way. 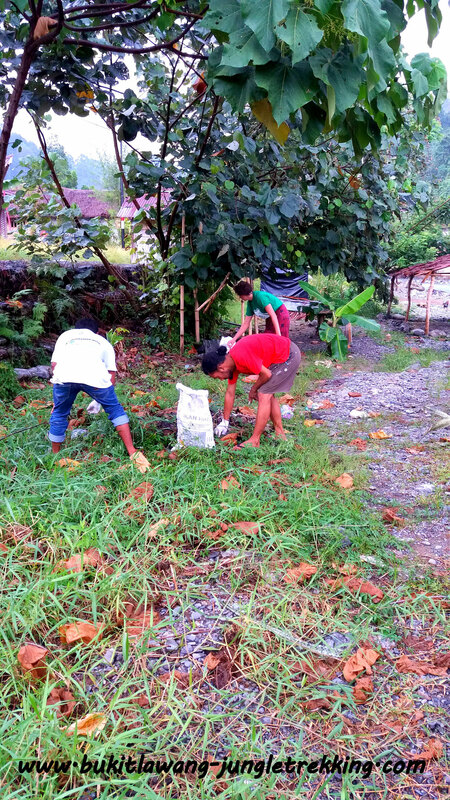 There are also pictures about the effects of the global warming and climate changings which we talked about.and we explained through these collages the photosynthesis of trees,about oxygen and carbon,and told them about the fact that palm oil palms produce more carbon than oxygen and are therefore really not good for a balanced environment,we talked about recycling and waste seeration,about how long things need to rot,about composting,landfills full of waste and many other things like that.The photocollages really help the people to understand everything more easy. 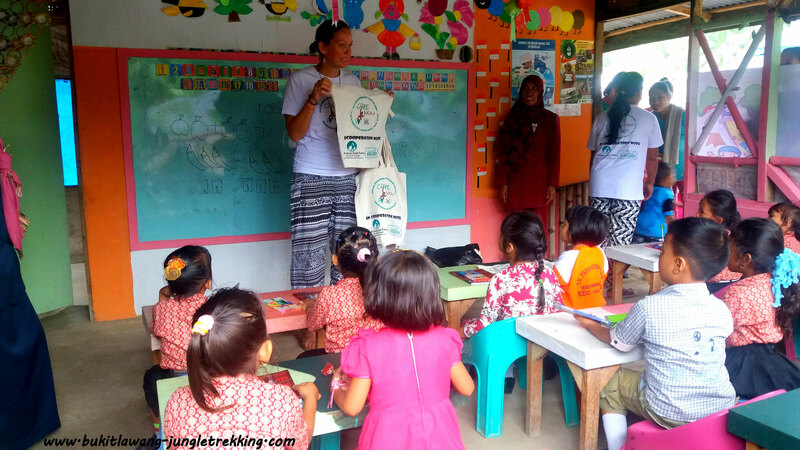 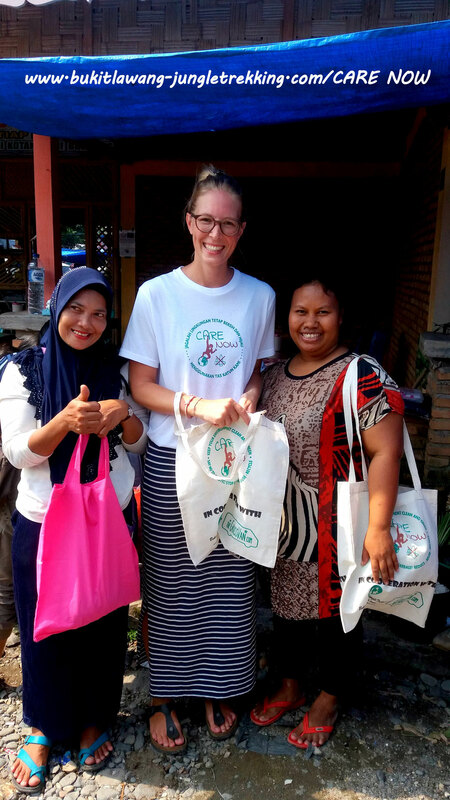 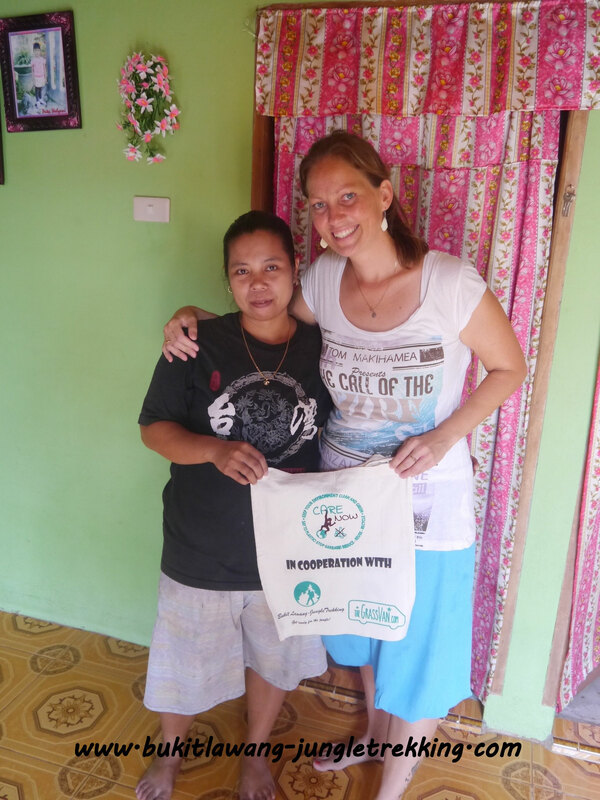 In the beginning of april 2019, our staff member Iwan went to a kindergarden in remote area to hand over learning supplies, some sport equipment and our CARE NOW ecofriendly tote bags. 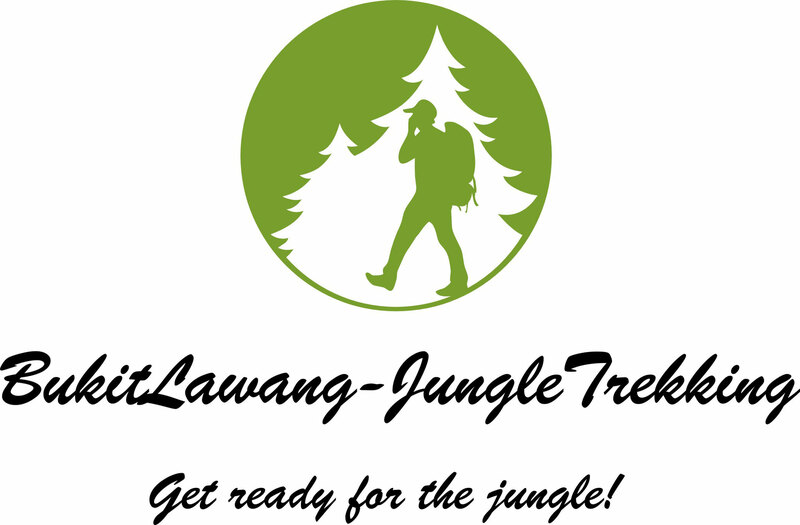 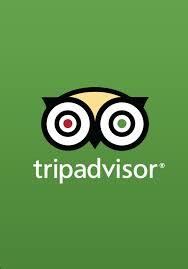 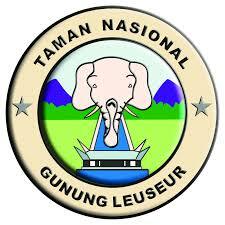 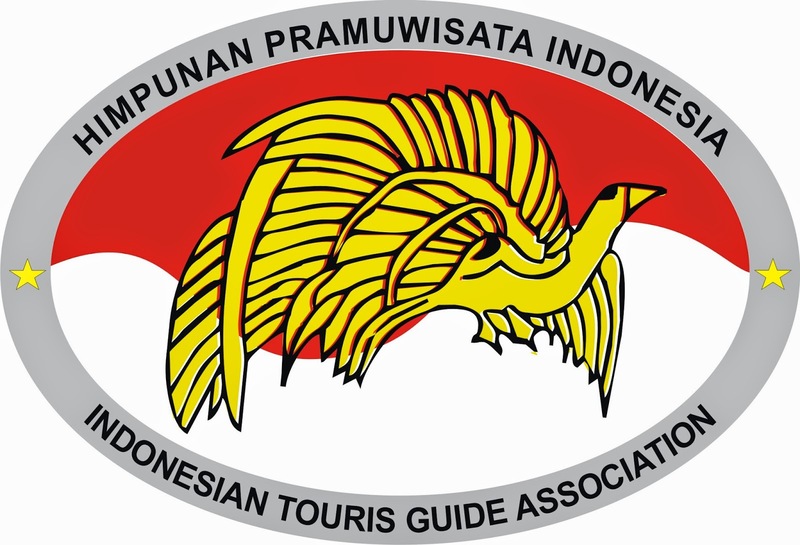 We are always looking for guest and friends who are happy to support us....please contact us . 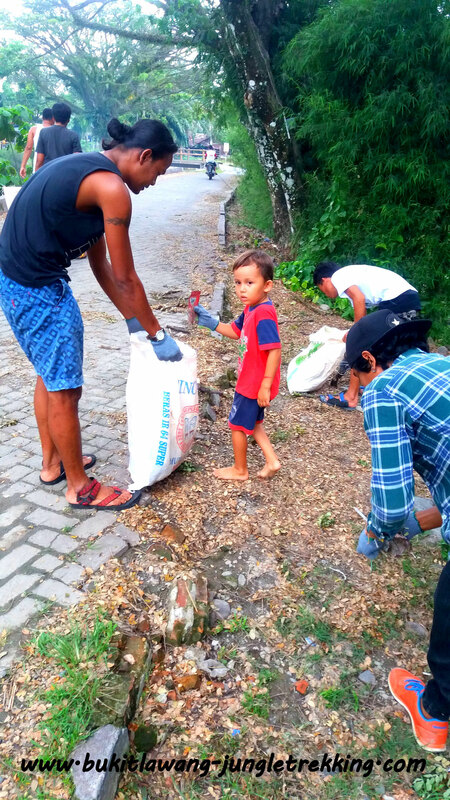 We are trying to do regular rubbish pick ups with our team.This month we past a local school and it was lovely to see that it didnt took long to ask the students to help. 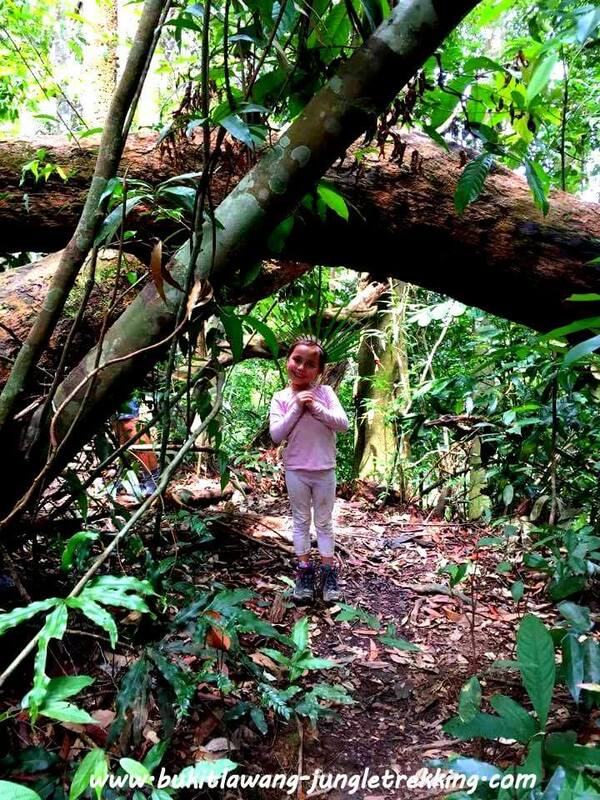 Its important to be an example for the youngest as they are the future generations wo will need a healthy ,strong, clean and green planet to live on !!! 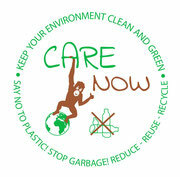 Its so urgent to educate them and raise awareness for the plastic pollution worldwide. 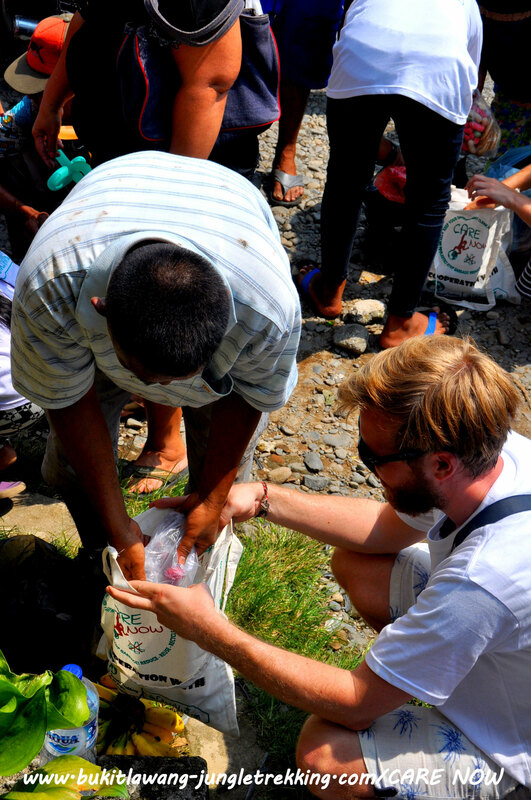 We are happy to help a bit with that and hope many others will do as well . 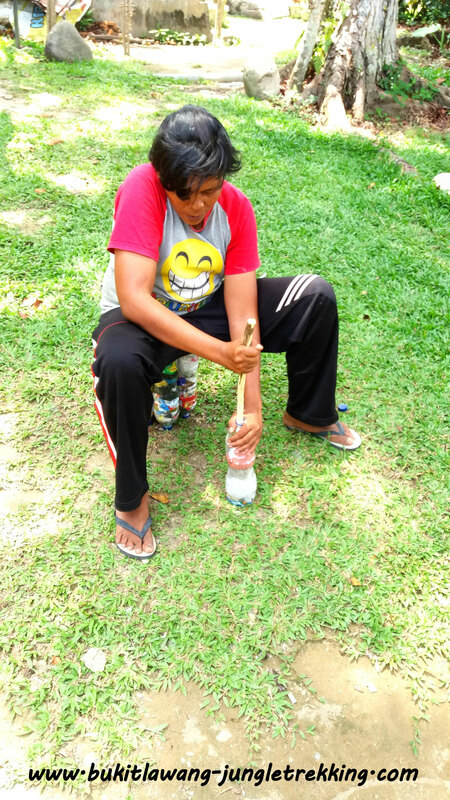 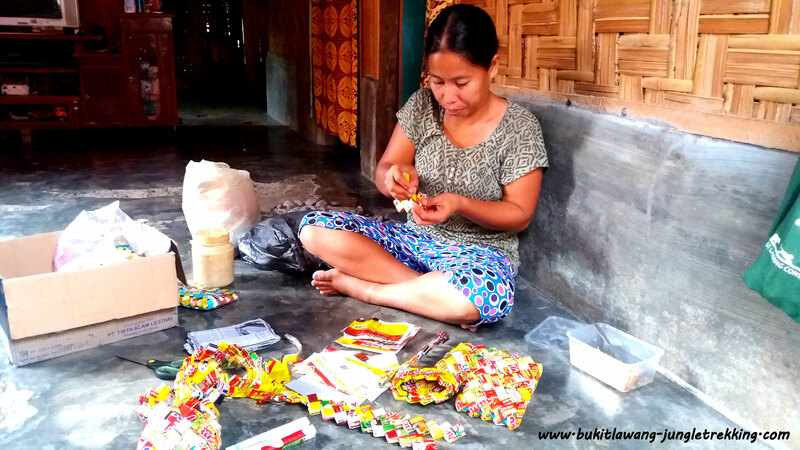 Our local partner is busy collecting rubbish in her daily life and making a lot of ecobricks out of it....stay tuned and see what we plan do make out of them:)....but first we need around 1000 ecobricks! 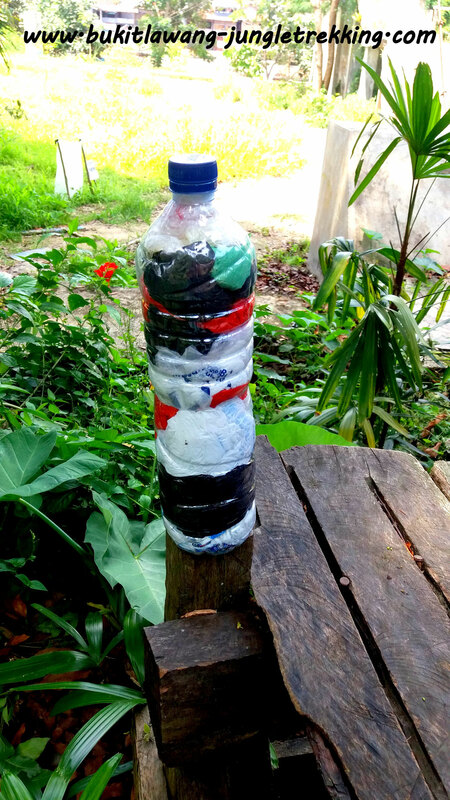 An Ecobrick is a reusable building block created by packing clean and dry used plastic trash into a plastic bottle to a set density. 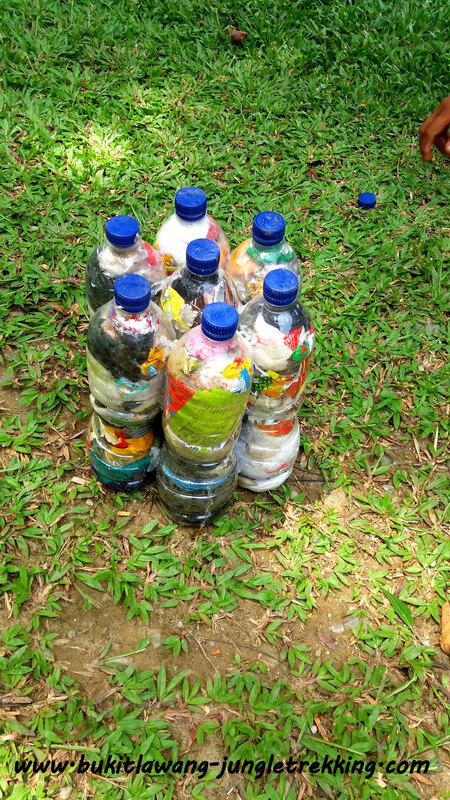 Ecobricks enable us to take personal responsibility for our plastic trash. 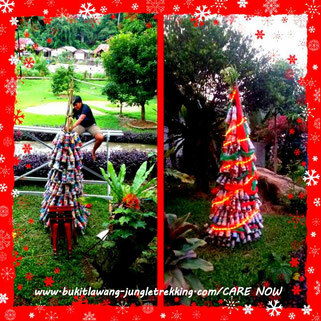 For this years Christmas we had the great idea to build the Christmas tree in our familys guesthouse Bukit Lawang Indah out of the ecobricks we are producing. 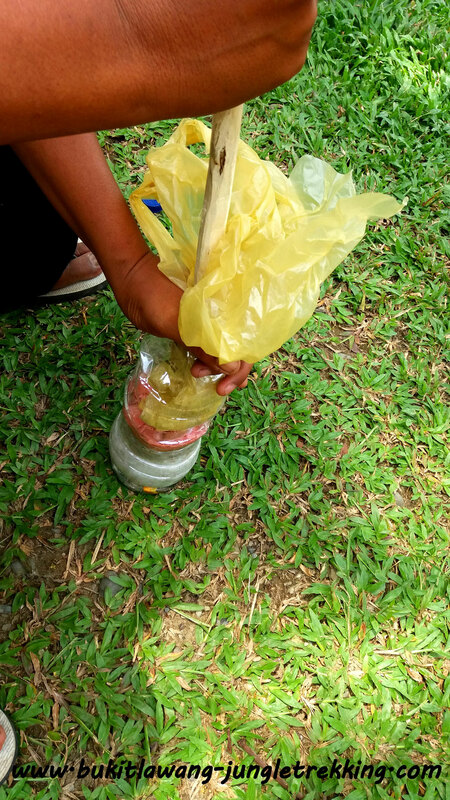 What a fantatsic idea to reccyle plastic trash! 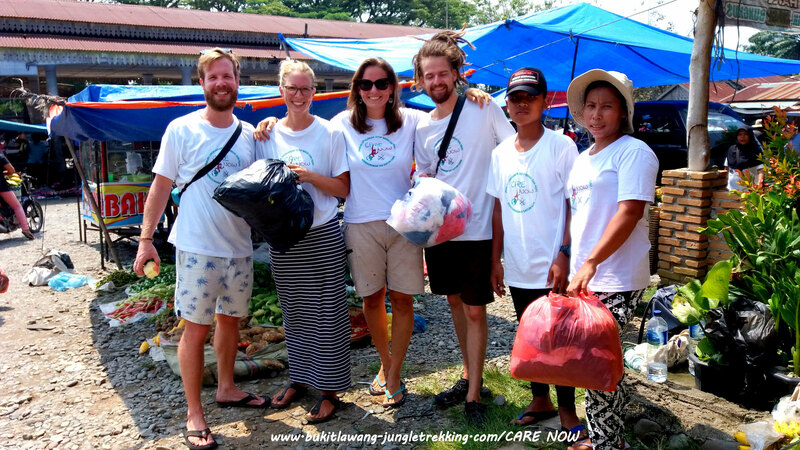 On 3rd of november 2018 we joined the 3rd Bukit Lawang Trust Conservation Festival and presented our Care Now project. 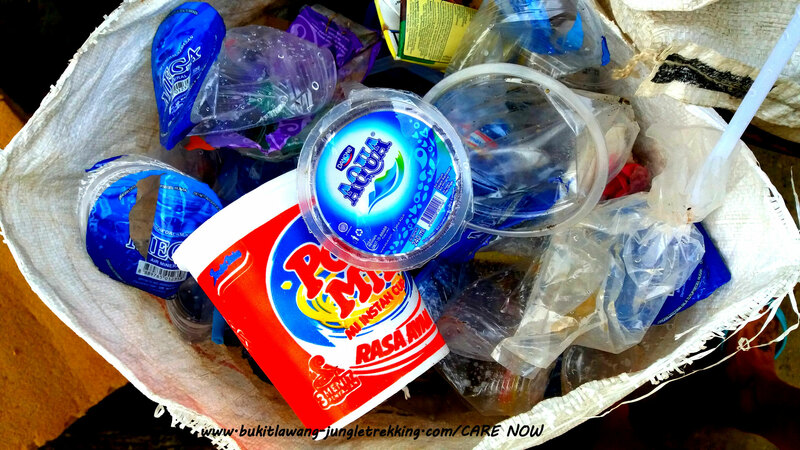 A good way to use our recycled Ecobricks are rubbish bins. 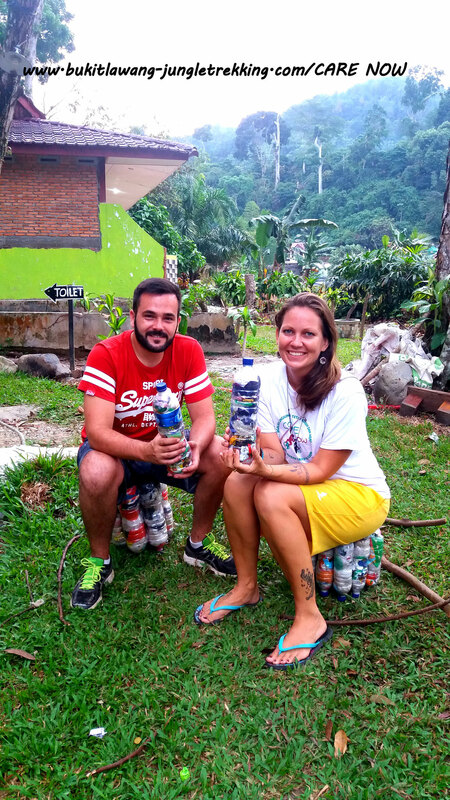 So we are now providing ecofriendly and selfmade rubbish bins at our familys guesthouse Bukit Lawang Indah....100% made out of the guesthouse´s trash. 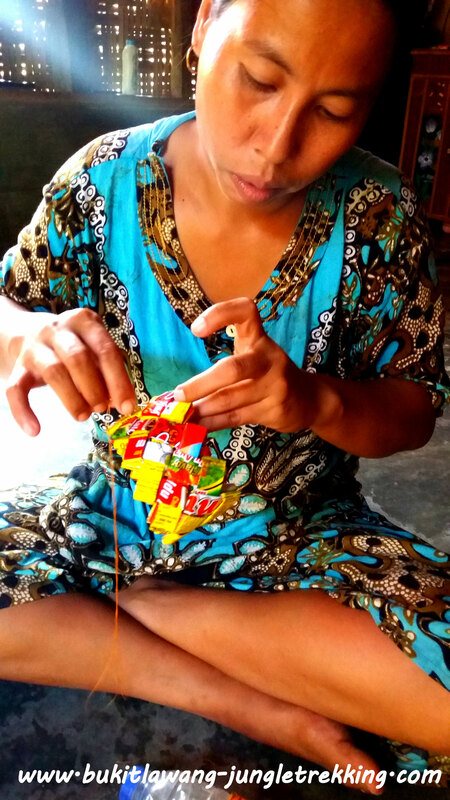 They are easy to make so everybody can do it! 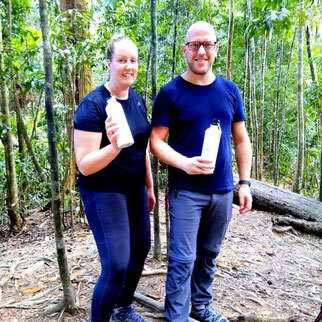 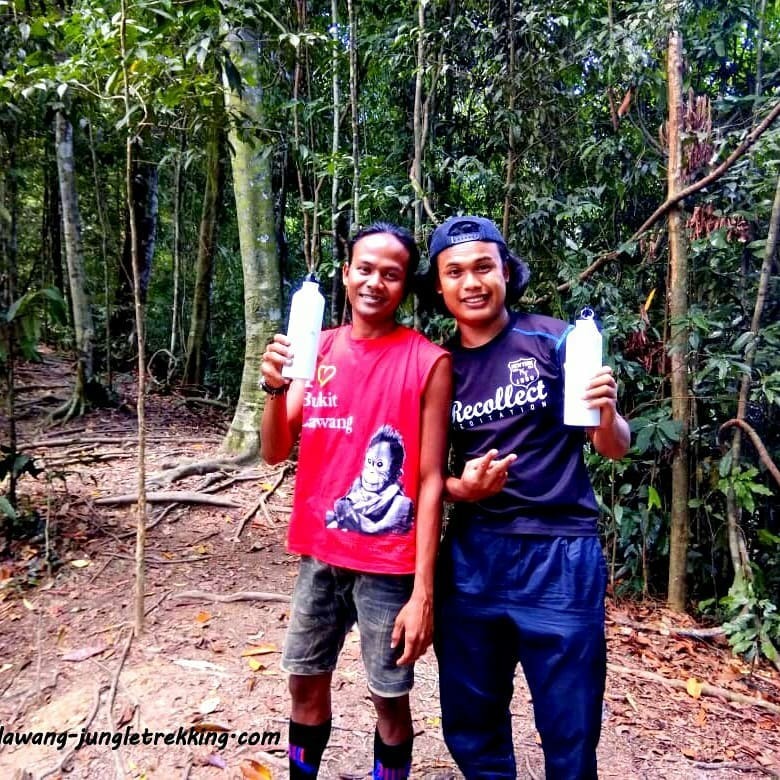 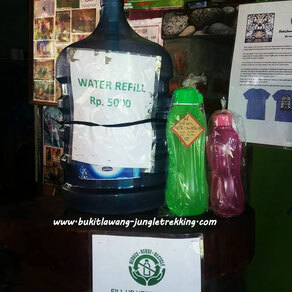 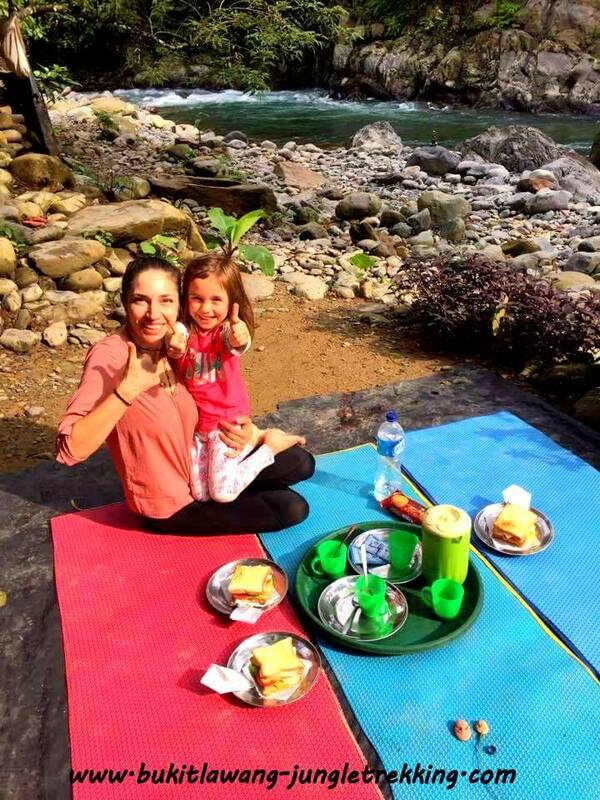 Bukit Lawang-Jungle Trekking started to provide reusable waterbottles for our jungle tours. 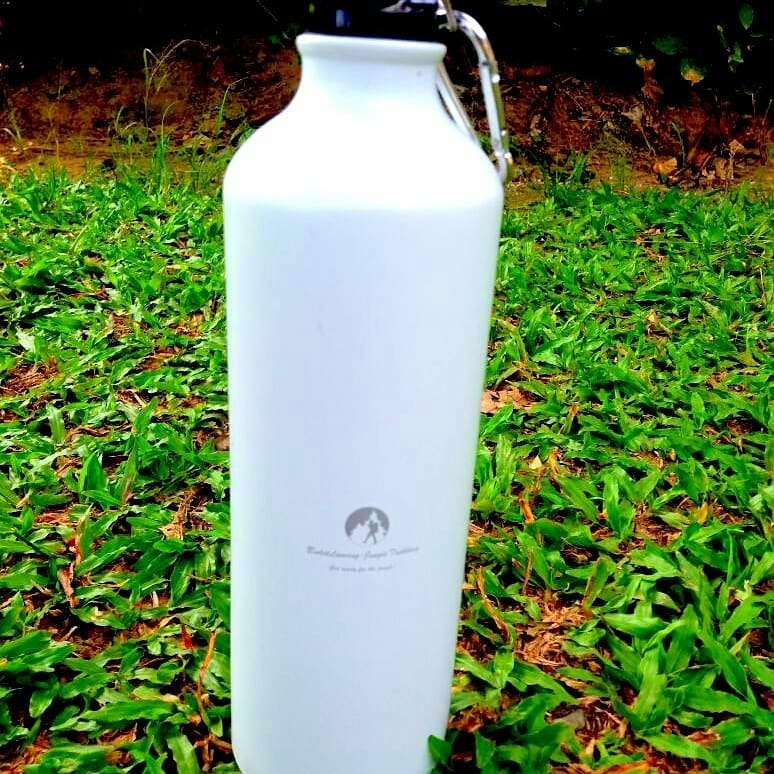 Plastic bottles need around 450 years to decompose so lets all act responsible and say no to single used plastic-bottles. 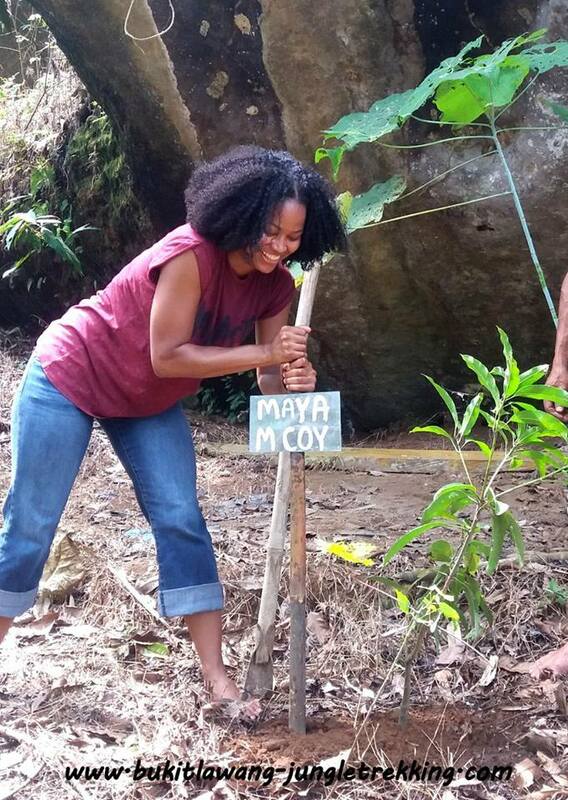 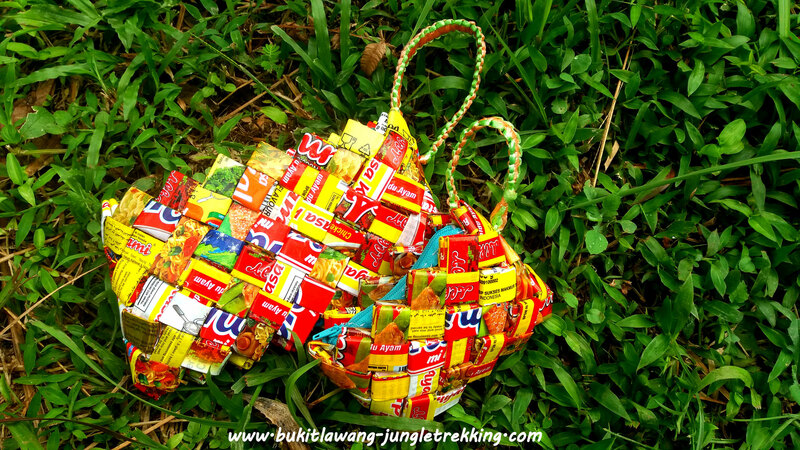 ♻MWith the great support of our Bukit Lawang-Jungle Trekking guests, we also continued making more ecobricks. 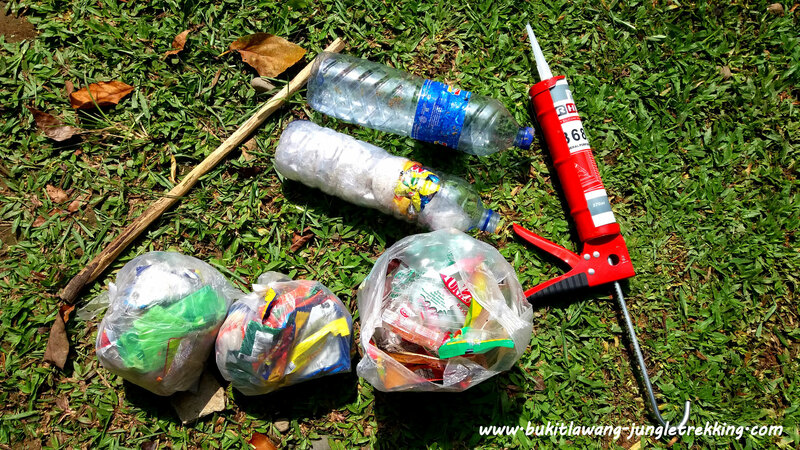 For this we used parts of the collected trash from our rubbish pick up campaign End of Ramadan / Mid June 2018 ( see above). 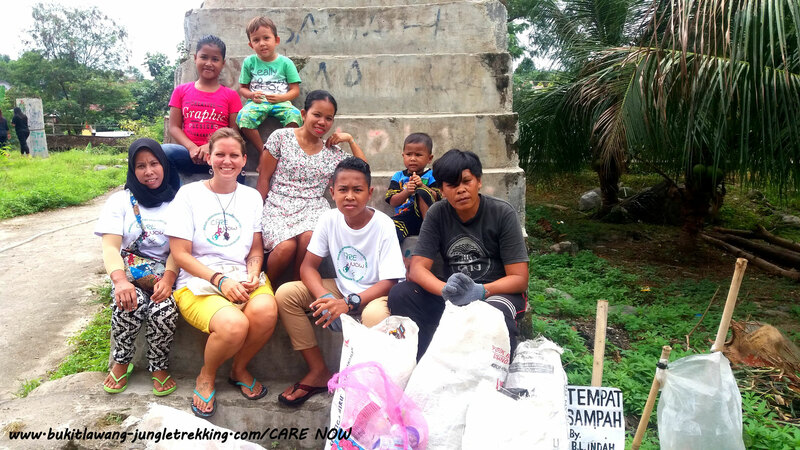 Let us know before your arrival if you wish to help too.Thank you very much for everyone who supported our CARE NOW project allready! 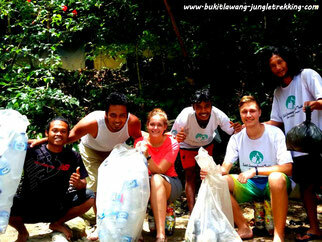 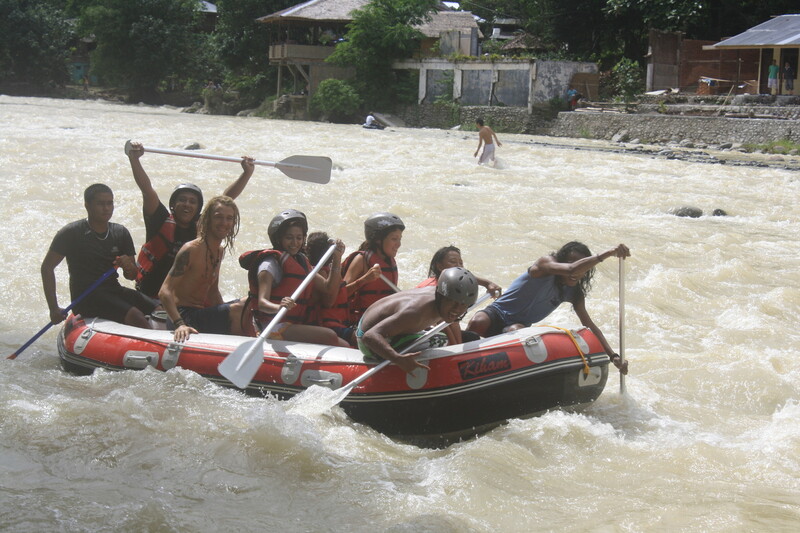 The whole Bukit Lawang-Jungle Trekking team cares for a clean and trash-free nature. Therefore we are doing regularly rubbish pick up activities. 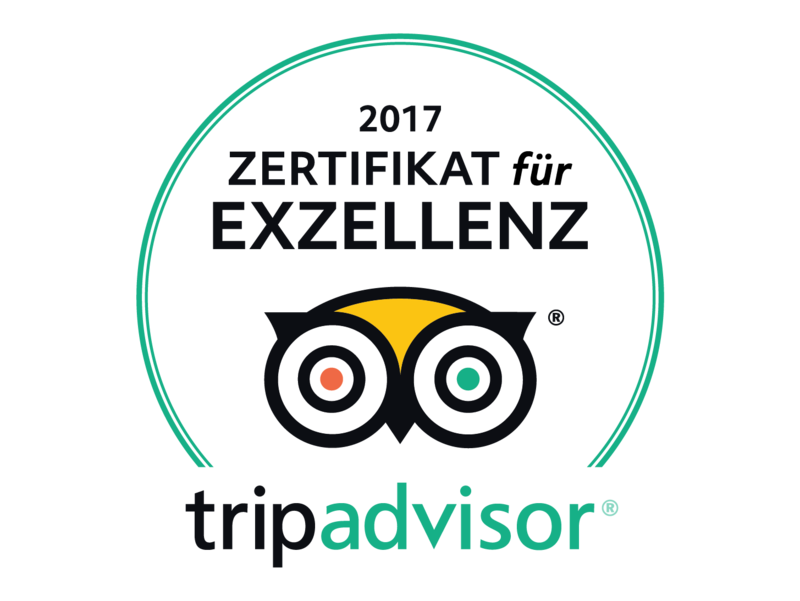 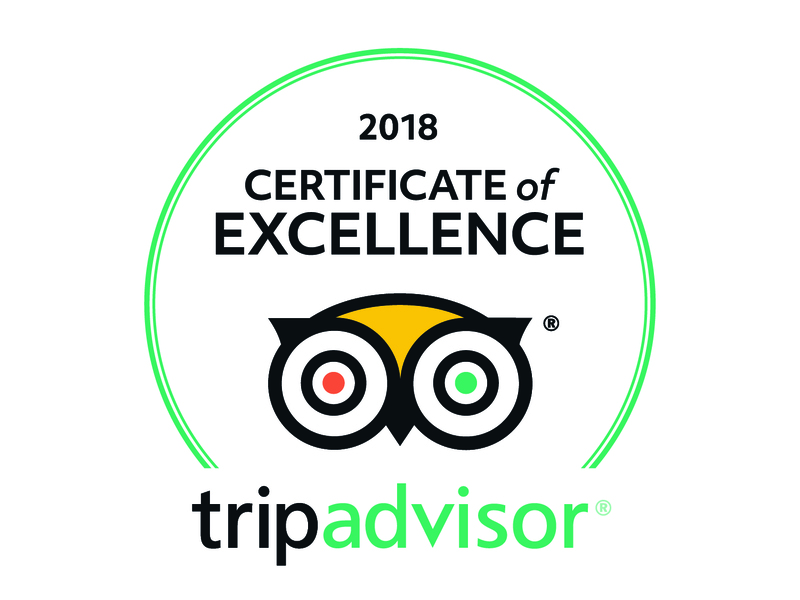 Everybody is welcome to join us ( guests, locals,other guides ). 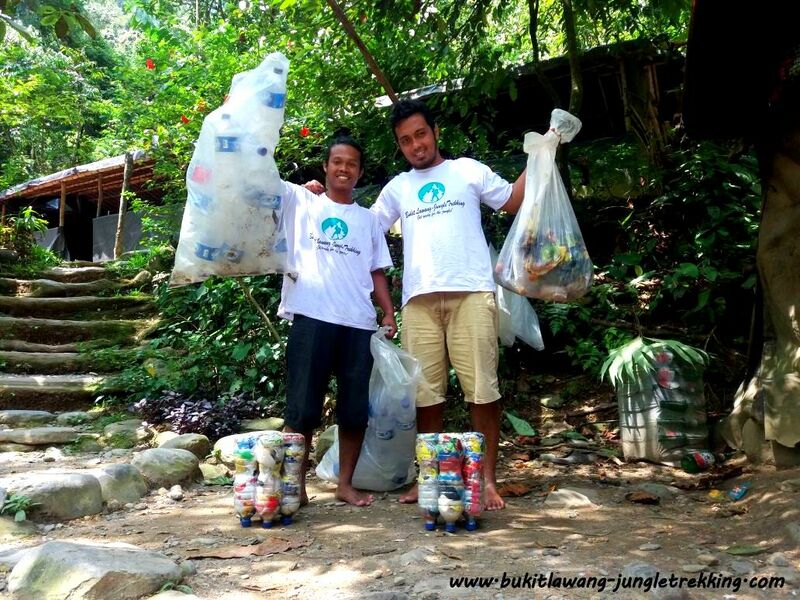 Together for a cleaner Bukit Lawang!!! 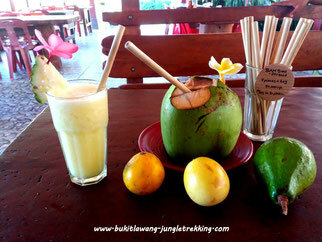 Bukit Lawang-Jungle Trekking guests can now buy their own ecofriendly bamboo straws. 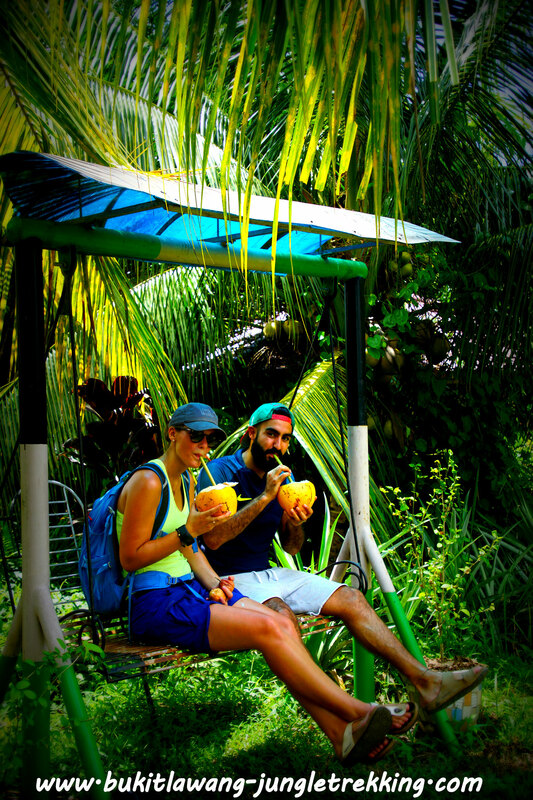 They are locally handmade, reusable, biodegradable, natural,stylish and fun and a great gift to bring back home 🍹 🌴 🍍 💚plus they come in a beautiful little batik-bag. 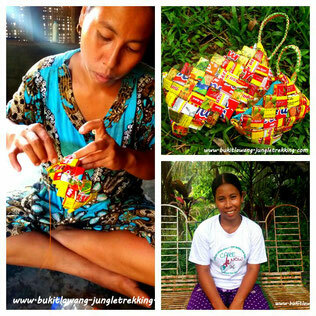 which is also locally handmade 😍..
After searching a while we found a great way to recycle plastic trash...Ecobricks!!! 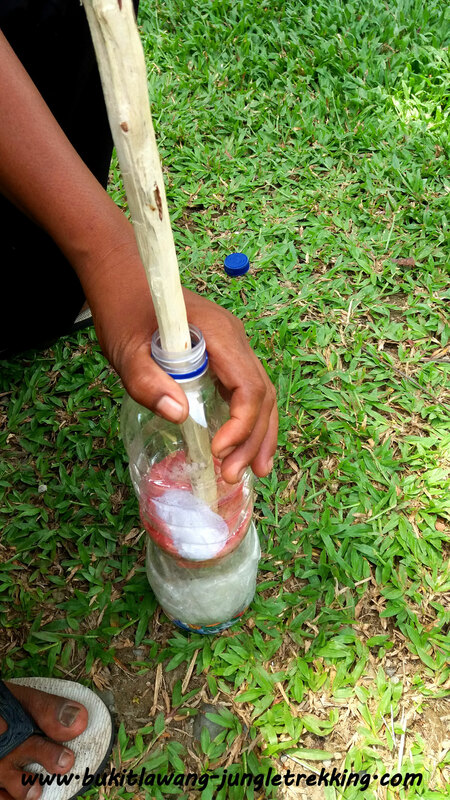 We think this can be a fantastic solution to solve plastic pollution. 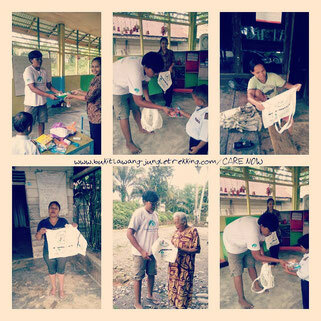 And the best fact...everybody can do it as its very simple and for free. 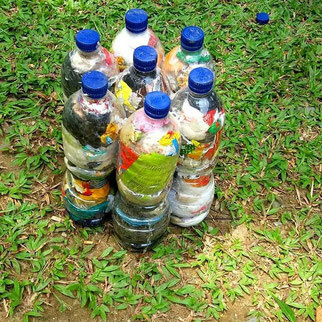 You just need to pick up rubbish and bottles and squeeze all the trash into the bottle...thats it. 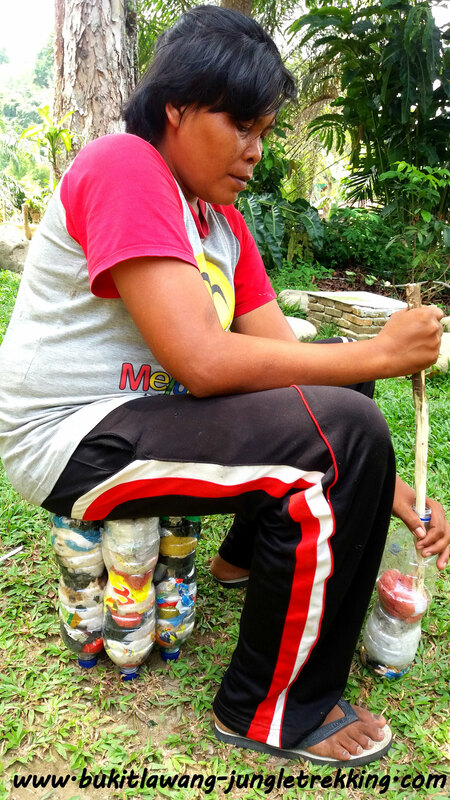 We employ someone now who is resposible only for making those ecobricks. 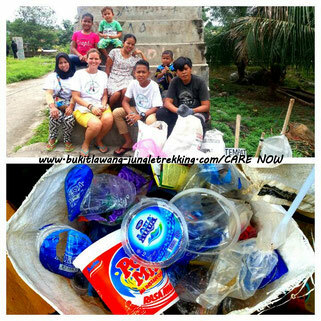 Almost the whole rubbish from our familys guesthosue Bukit Lawang Indah gets recycled now! 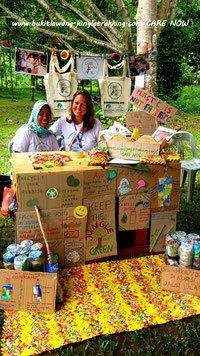 We first try to make easy modules like chairs and our big goal is to build a house out of ecobricks. 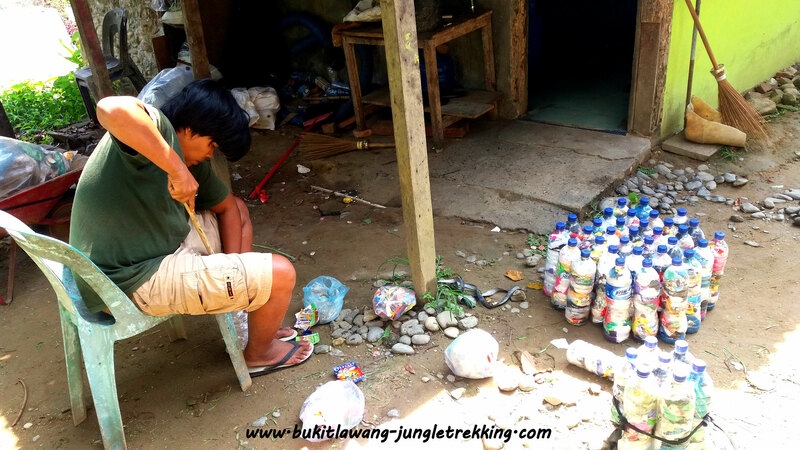 We also make chairs for our jungle camps...made out of trash from previous treks...isnt that amazing...we try to leave nothing behind. 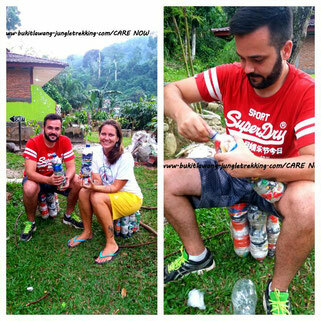 Some local people allready saw our first ecobricks and really like this idea so they started making them too which makes us very happy. 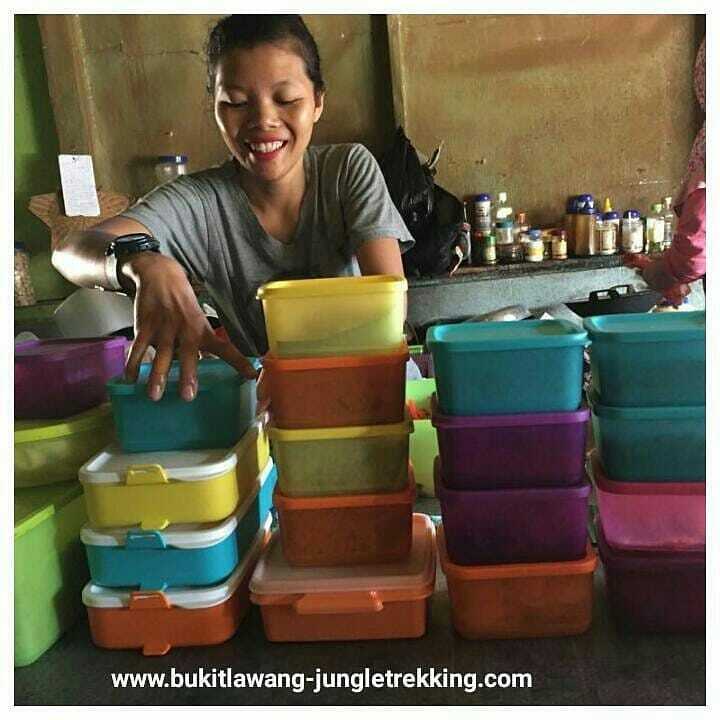 We found this idea in internet and we hope that a lot of people can see what we do and follow....its easy, for free, its fun as you can create your own modules and it will lead to a cleaner Bukit Lawang. 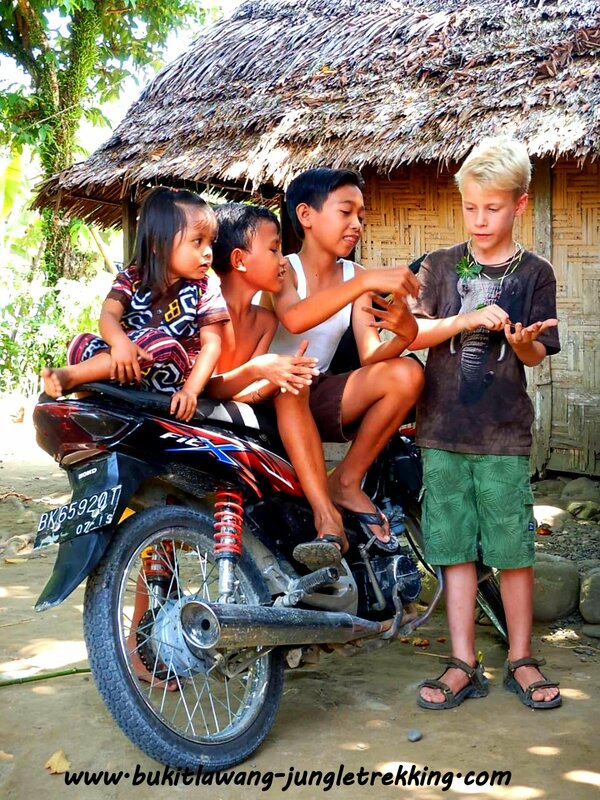 💚 Enough reasons to stand up and get active for in our eyes. 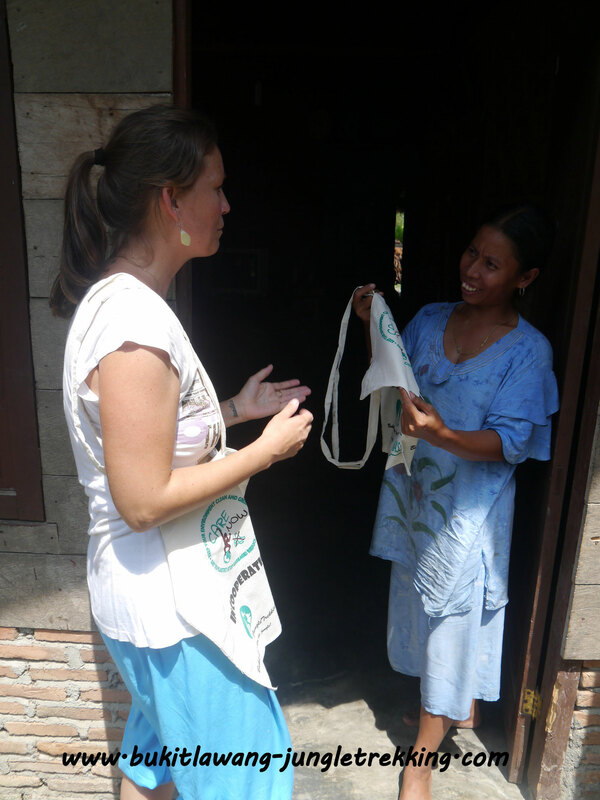 Together with a local friend Apni we have made purses...100% handmade and 100% from plastic trash. 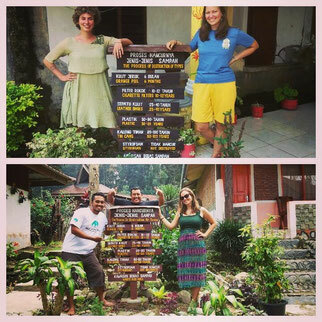 We sell them now at our familys guesthouse and all profits go fully back to Apni and her family. 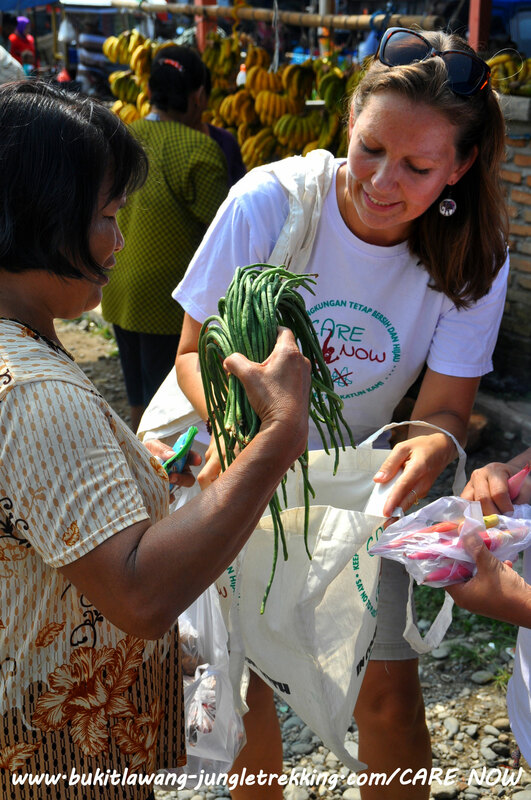 We love to give something back to the community and also its one of our aims to work together as much as possible. 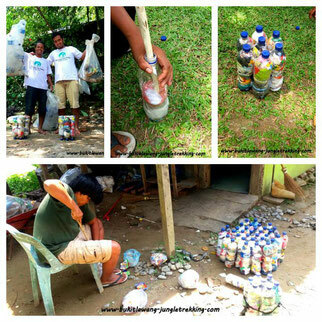 So a combination of both...working together with a local woman and point out ways to reduce, reuse or in this case recycle plastic trash, is a perfect litlle start for waste management. 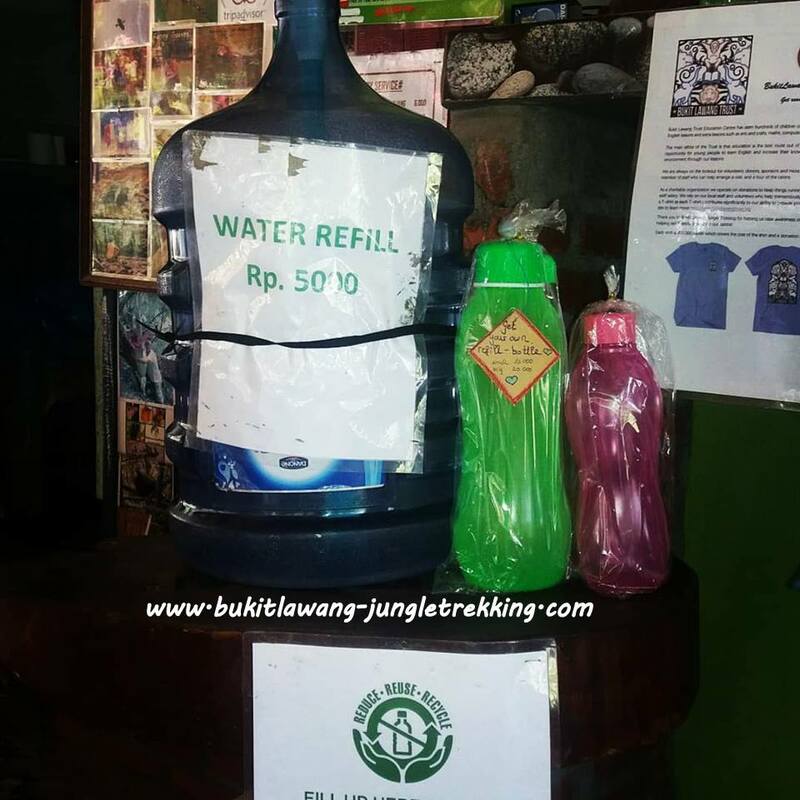 To reduce plastic trash from single used water bottles, we now offer new and very stylish water refill-bottles in many different colours in our familys guesthouse Bukit Lawang Indah❤. 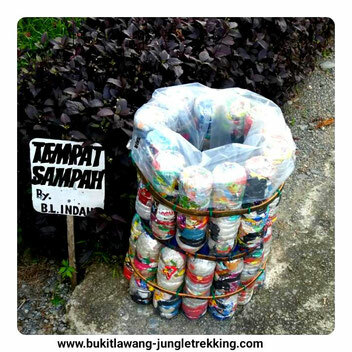 To reduce our own environmental footprints, we have created a rubbish recycling area in our familys guesthouse Bukit Lawang Indah. Since january 2018, we are no longer serving single-used plastic straws anymore in our familys guesthouse BUKIT LAWANG INDAH. 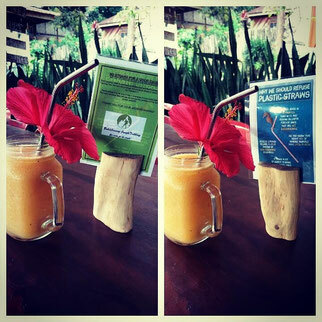 Instead we are having re-useable and stylish (stainless) steel straws now. On 20th of october 2017, for the first time, we went to a local market to spread the CARE NOW ecofriendly totebags there...for free,of course. 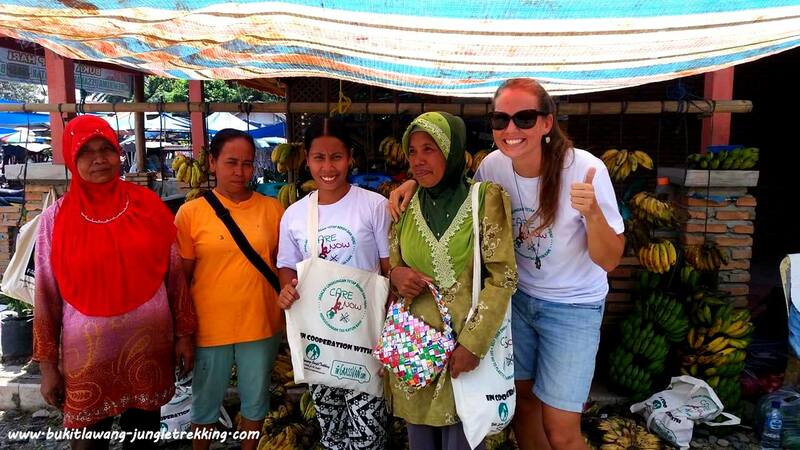 It was interesting and fun because we just had positive feedbacks from the locals who were open minded to listen to what we had to tell them about global plastic pollution.We saved about 70 plastic bags in only 2 hours!! !You can imagine how many plastic bags are still used in a day,momth or year in only one small village...its shocking! 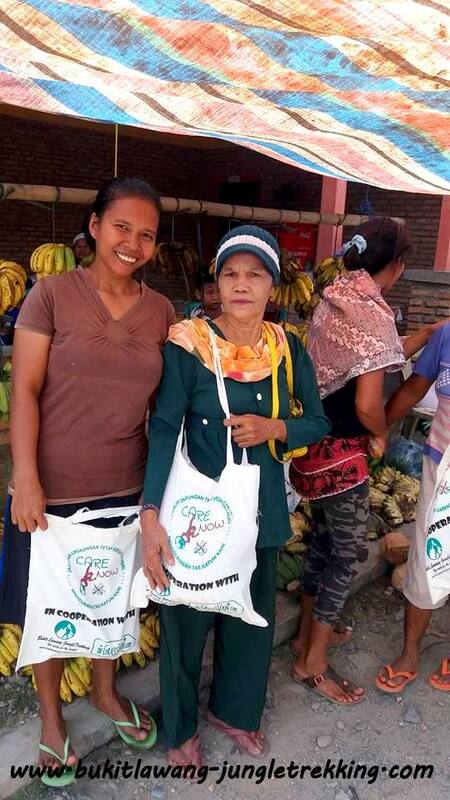 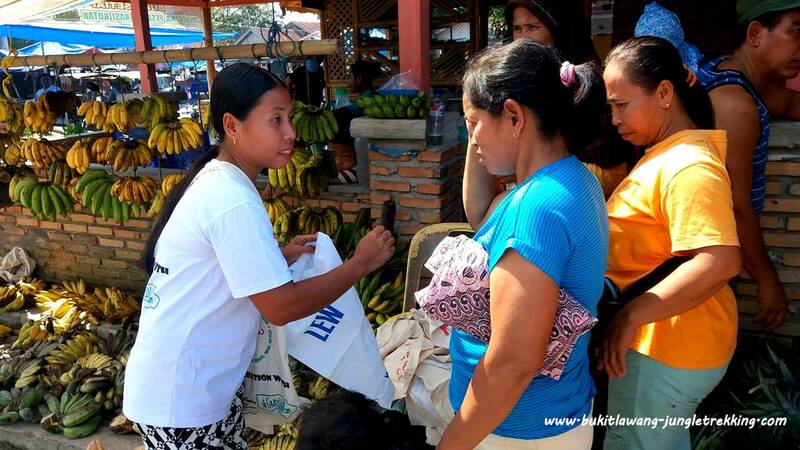 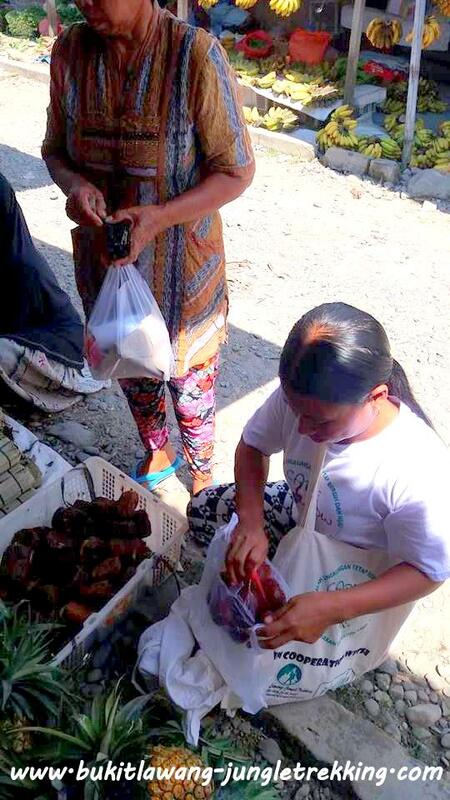 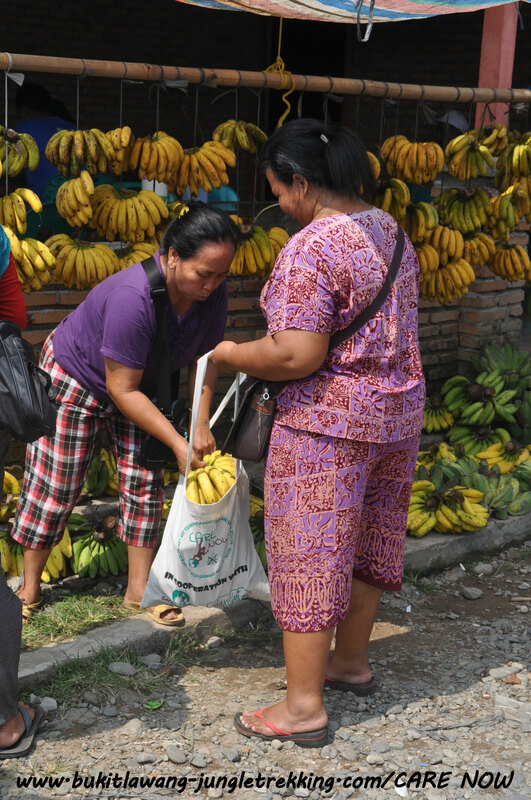 .We really hope that the community will use the cloth bags next time they go shopping at the market. 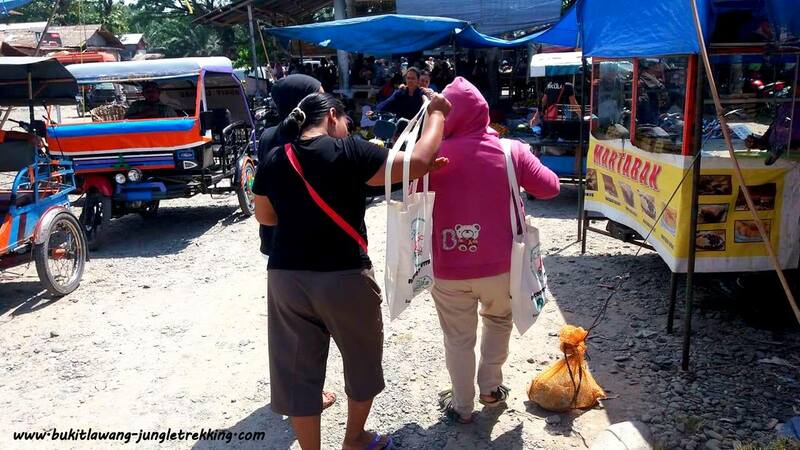 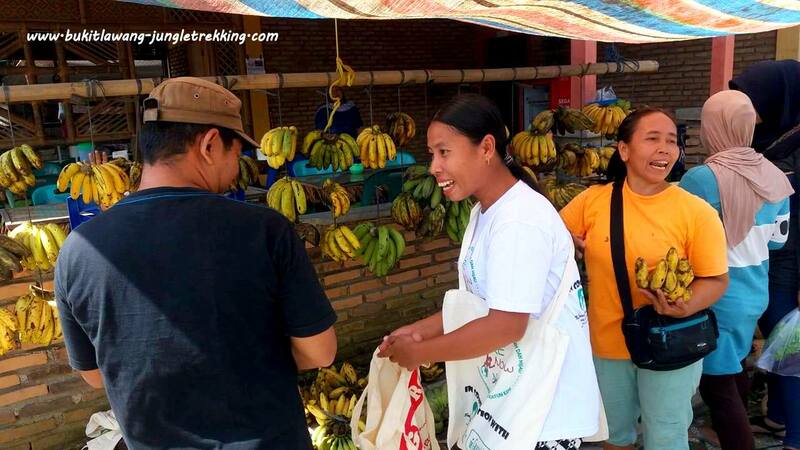 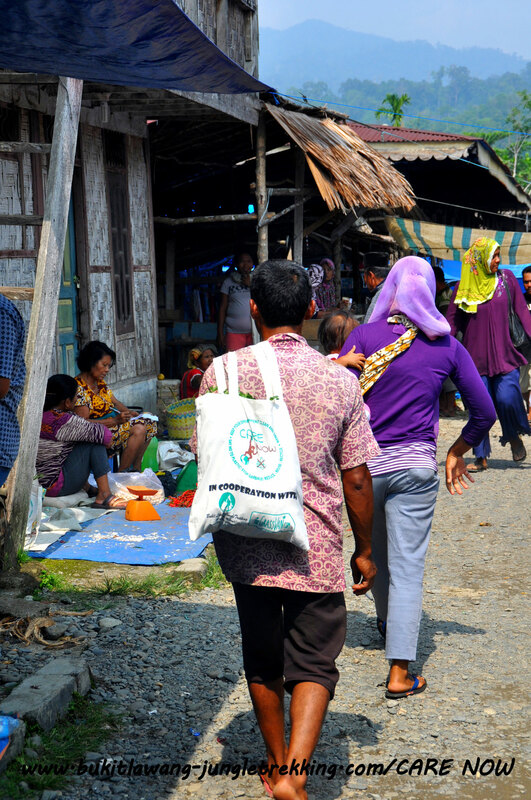 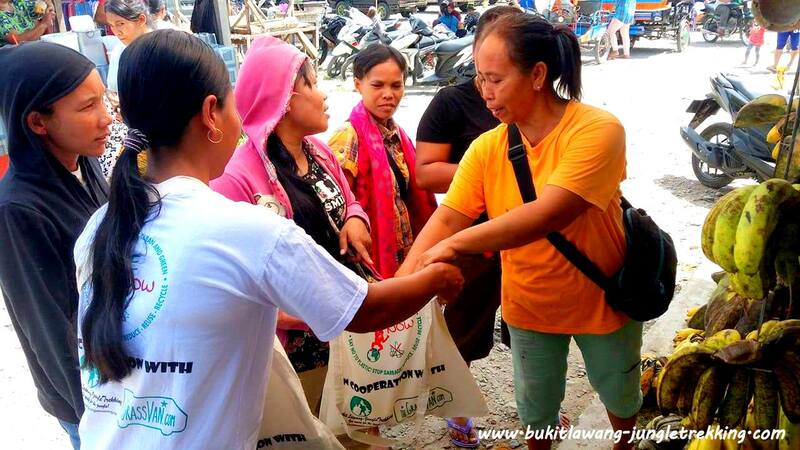 You can easily help...just bring cloth bags next time you visit Bukit Lawang:) In the meanwhile we keep visiting local markets and spread our bags. We are trying to educate the youngest generations about the huge plastic and rubbish problem and hope to encourage them not to throw rubbish away anymore. 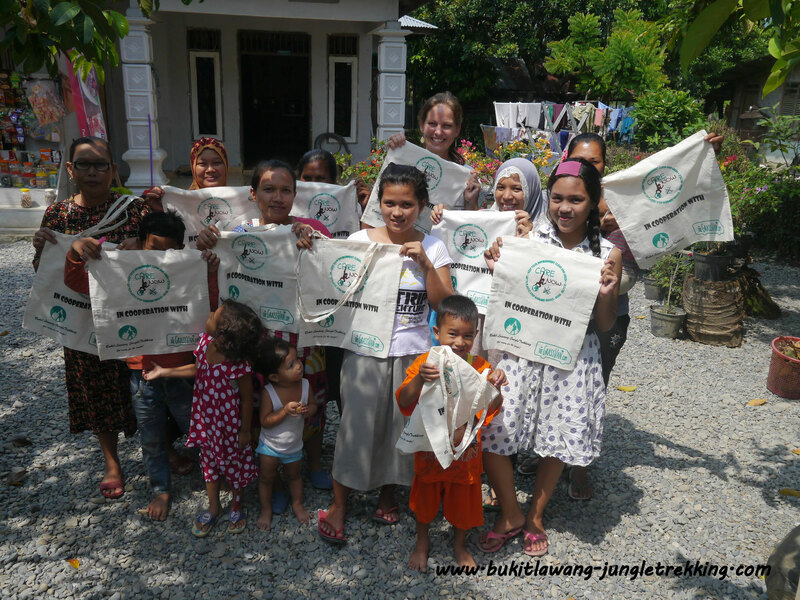 On 27th of september 2017 we have visited the local kindergarden NUSAH INDAH LANGKAT and brought them our ecofriendly tote bags and talked about the impacts of rubbish in the nature. 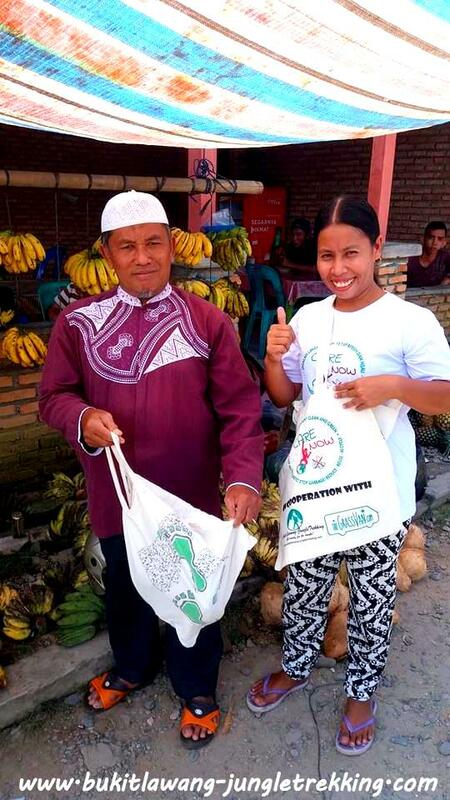 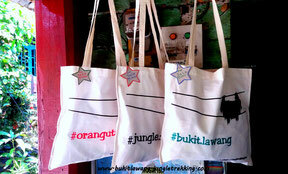 http://marestella.me/ , we have designed 3 new styles for ecofriendly totebags which are now ready for sale in our familys guesthouse Bukit Lawang Indah.The proceeds go 100% towards this project. 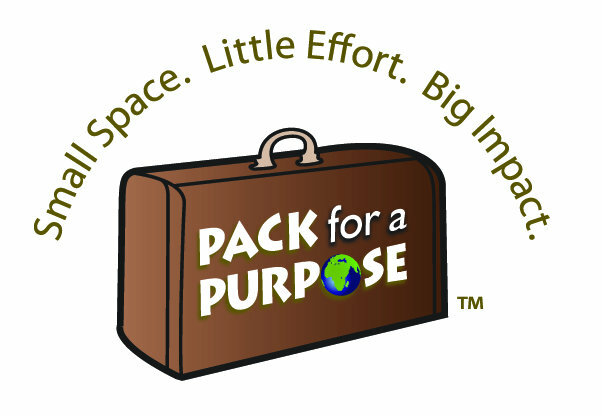 If you would like to donate something, please contact us. 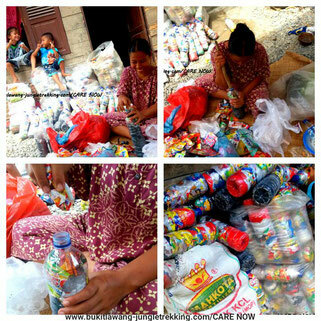 Any donations-no matter how small or large-can make a difference!